Extract from the book review by Dr Tom Merriam on Hildegard Hammerschmidt-Hummel, William Shakespeare. Seine Zeit - Sein Leben - Sein Werk (Mainz: Verlag Philipp von Zabern, 2003. Pp. Xiv + 383, with 151 color and 97 black-and-white illustrations, in: Religion and the Arts (2004). This lavishly produced book in coffeetable format might seem yet one more product of the Shakespeare industry, a hefty souvenir to take home with one from Stratford-upon-Avon. If it be a souvenir, it is a Trojan horse. ... its premise that Shakespeare was a religious activist is too removed from the Weltanschauung of English-speaking Shakespeare studies. The central issue raised by [Hammerschmidt-Hummel’s] William Shakespeare is whether the extraordinary tension attendant upon such hazardous political and social involvement on Shakespeare’s part provided the sheer force needed for, and commensurate with, the extraordinary physical, mental and spiritual energy manifest in his writing. Ars gratia artis implicitly denies the need (or relevance) for such external, social stimulus for creativity or innate genius. “The play’s the thing.” is merely the opening phrase of the sentence which ends, “Wherein I’ll catch the conscience of the King.” Catching the conscience of the ruler is a prophetic/moral activity within a political context. In the eyes of Hammerschmidt-Hummel, it is the heart of Shakespeare’s unified life and work. And the fulcrum was the political débacle of the Essex rebellion in 1601. The hope of a legalised Catholicism within a Protestant-led England was Essex’s expected succession to the throne. He was the sole anchor for many Catholics who saw their persecution under Elizabeth as the consequence of her excommunication by Pope Pius V in 1570. This precipitated the dilemma in which Elizabeth’s legitimacy as Queen was a matter of divided conscience among Catholics. Essex, unlike Elizabeth, was born and bred a Protestant, exempt from papal excommunication and, influenced by his well placed contacts on the Continent, willing to accept a tolerated Catholicism. [Hammerschmidt-]Hummel suggests that the failure of Essex’s Irish mission in 1599 was due partly to his willingness to acceded to Irish demands in connection with the Catholic religion. His precipitous return to England, immediate house arrest, and the abortive uprising of 1601 spelled the end of Catholics expectations for emancipation in England. The recruitment of Shakespeare’s theater company to perform Richard II as a morale booster just prior to the February Essex rebellion was, according to [Hammerschmidt-]Hummel, more than the inadvertant faux pas which J. Dover Wilson and Schoenbaum have suggested. Shakespeare was deeply involved with Southampton, and Southampton was deeply involved with Essex. Shakespeare wrote Hamlet in the aftermath of the execution of Essex. The parallel between Essex and Shakespeare’s Hamlet was noted by Wilson in The Essential Shakespeare (1932). Essex wore black at his trial; Hamlet wore black. Hamlet attended university at Luther’s Wittenberg; Essex was educated a Protestant. The likeness of Polonius to Burleigh who[se son, Robert Cecil,] plotted the downfall of Essex has long been recognized. ... Hamlet thrust Polonius through the arras. 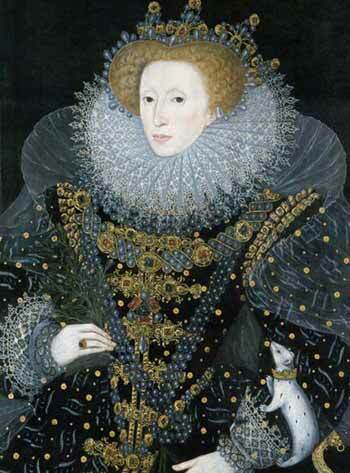 The Queen was said to have stabbed the arras as if aiming for the one who had engineered Essex’s downfall in the months after his execution; Robert Cecil hid behind the arras to eavesdrop at the trial of Essex in 1601. Both Essex’s rebellion and Hamlet’s revenge were of dubious morality. Hamlet’s funeral was a military one; Essex was a general. Behind these parallels lies the all-important question of regicide which Shkaespeare examined in Julius Caesar - before the Essex desaster. Only Catholicism envisaged regicide as a theoretically possible moral option, although ironically the act of regicide was committed by Governour of the Church of England against the Scottish Queen Mary, and later by the Puritans against King Charles I. [Hammerschmidt-]Hummel’s case reveals a remarkable cornucopia of circumstantial evidence. 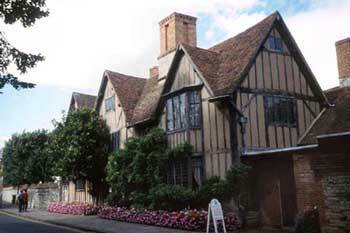 I can not attempt to weigh the pieces for their merits: John Shakespeare’s glove mark on the fresco painting in the White Swan in Stratford, the identification of the Curzon portrait of Anne Hathaway as, in, in fact, that of Mary Arden Shakespeare by the shape of the lips, the coincidence of Jesuit theatrical theory of mixed genres with Shakespeare’s later practice, the almost unique legal arrangements of Alexander Houghton’s will and the supposed encoding of its provisions, the legend of deer poaching on Sir Thomas Lucy’s estate as a cover-story for Shakespeare’s political reasons for leaving Stratford, the entries in the guest book of the English College in Rome which coincide with Shakespeare’s “lost years”, Shakespeare’s connections in high places on his return to England, Greene’s reference to Shakespeare as a puppet master as coded for safe-keeper of priests, the identification of the face of Richard Burbage with that of Tamora in the Peacham sketch from Titus Andronicus, the connection for the four-leaf clover pattern in the four-cornered bows of aristocratic and royal portraits with the crosses on the seal of Stratford, the historical association of the Shakespeares with Henry VII, the recalling of the statue of Gobbo in Venice in Merchant of Venice and its association with the dwarf-like Robert Cecil, the anti-Elizabeth portrait ‘Eliza Triumphans’ with its crown to the right of her head, the possible meeting of Shakespeare and Marlowe at the Englsh College in Reims, the mis-en-scene of As You Like It in the Ardennes of the Low Countries where English Catholic exiles congregated with possible reference to the Houghtons as the two estranged noble brothers, the remarkable mask-like face of Shakespeare on the right sleeve of the portrait of Elizabeth Vernon Wriothesley to which her index and last finger of her left hand are pointing, the facial resemblances of her daughter Penelope Wriothesley, and even the granddaughter to the Shahespeare portraits. 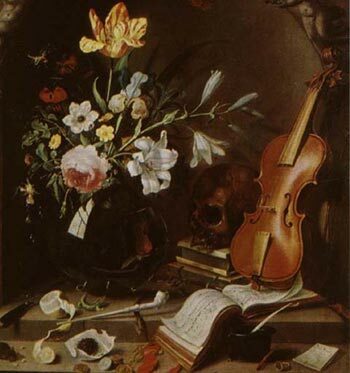 More important to my mind are the following, - in no order of priority: [Hammerschmidt-]Hummel suggests the possibility of deliberate arson on the feast of St. Peter, 29th June 1613 (Old Style), because of the day’s papal association and because of the play’s dangerous political content. No critic I know of has raised such a possibility, even if to dismiss it. [Hammerschmidt-]Hummel has looked steadily at Sir Sidney Lee’s treatment of Richard Davies’ statement “He died a papist” as an irresponsible report and idle gossip in order to evaluate its own credibility. [Hammerschmidt-]Hummel’s treatment of the authentic portraits and the Darmstadt death mask, with their evidence of the cause of death, is a serious histoircal and medical examination which is more responsible than the amateurish view that Shakespeare dies as a consequence of conviviality with Ben Jonson and friends or, more recently, of syphilis. [Hammerschmidt-]Hummel’s detailed discussion of Shakespeare’s purchase of the East Gate House at Blackfriars compares favorable with the casual treatment of what Schoenbaum referred to as an apparent investment “pure and simple”. [Hammerschmidt-]Hummel’s discussion of Shakespeare’s Testament will undoubtedly incur the opprobrium of special pleading. It is not without interest. Her epilogue concerning the mysterious octagonal pedestal that has disappeared from the garden at New Place poses a number of intriguing questions. “William Shakespeare - entschlüsselt. Hildegard Hammerschmidt-Hummel: Shakespeare - Seine Zeit - sein Leben - sein Werk” von Hans-V. von Sury, Theologisches (Januar 2006). Wie Shakespeare zu seinen minutiösen Kenntnissen der Geografie Italiens und überhaupt zu seiner humanistischen und religiösen Bildung ... gekommen sei, diese Frage hat während Jahrhunderten erstaunlicherweise kaum jemand zu stellen und noch weniger zu beantworten gewusst. Aus Ausbildungsstätte für den 14-jährigen Jüngling aus katholischem Haus kam nur das nach Jesuitischem System aufgebaute englische Kolleg in Flandern (Douai) in Frage. Dass das Konzept des späteren Dramatikers viel mehr dem des Jesuitendramas als dem klassischen des Aristoteles entspricht, liegt auf der Hand. Wenn von ihm in England in den anschließenden sieben sog. verlorenen Jahren (1585 bis 92) jede Spur fehlt, so ist die Annahme nicht fern, dass in dieser Zeit nach Italien verschwunden ist. HHH konnte ihre Hypothese anhand von Dokumenten im Englischen Kolleg in Rom (Pilgerheim und Pendant zum Germanicum) mit hoher Plausibilität bestätigen. Shakespeare als unerreichter Meister der Tarnung und der Andeutungen wusste sich - im Gegensatz zu seinem Vater - zeitlebens den englischen Zensur- und Überwachungsbehörden zu ent[ziehen]. “Die Entschlüsselung des William Shakespeare. Hildegard Hammerschmidt-Hummel über Shakespeare” von Hans-V. von Sury, Kath. Wochenzeitung (14. Juli 2006). Artikel nahezu identisch mit “William Shakespeare - entschlüsselt. Hildegard Hammerschmidt-Hummel: Shakespeare - Seine Zeit - sein Leben - sein Werk” von Hans-V. von Sury, Theologisches, Jahrgang 36, Nr. 1 / 2. “Shakespeare in den Fängen des BKA. Neues zum 390. Todestag des englischen Genies. ... Die ganz andere Biografie” von Peter Pauly, Der Neue Tag (29. April 2006). Schon immer erschienen die Schilderungen unserer Lehrer, dass der Wilddieb und Pferdeknecht William Shakespeare wie Phönix aus der Asche Weltliteratur schreibt, unglaubwürdig. Nun hat [Hildegard] Hammerschmidt-Hummel eine Biographie vorgelegt, die vieles erklärt, wenn man Shakespeare in seiner katholischen Konfession sieht. Die Theorie, den berühmten Engländer dem Katholizismus zuzuordnen und nicht dem Anglikanismus, ist so neu in Deutschland nicht. ... Das neue Werk der Mainzer Professorin allerdings übertrifft an Massivität alles bisher Geschriebene: Shakespeares Eltern schicken den Sohn auf eines der katholischen Festlandkollegs, wo er sein Theater-Handwerk lernt. Später wird Shakespeare Hauslehrer bei einem katholischen Adligen, besucht Italien und engagiert sich ... im katholischen Widerstand. All das spiegelt auch Shakespeares Werk wider. Die Autorin wartet mit weiterem Neuen auf: So beschreibt sie die Reste einer ehemaligen Sonnenuhr mit Zitaten aus Shakespeares Werk. Die Uhr stand in New Place, dem Ort an dem er [Shakespeare] in Stratford seinen Lebensabend verbrachte. Die Autorin belegt damit ein weiteres Mal Shakespeares Autorenschaft. ‘Justiziable’ Beweise für Shakespeares Bekenntnis liefert Hammerschmidt-Hummel allerdings nicht. Kann sie auch nicht, sie würde sich selbst in ihrer Aussage widersprechen, dass übereifrige Anglikaner, Angehörige der Staatsreligion, Beweise für Shakespeares Katholizimus vernichtet haben. Dennoch, es bleibt das Bild eines ganz anderen elisabethanischen Englands, als das, welches uns in schönen Bildbänden vermittelt wird. Zwar vergrößerte England seine imperiale Macht, aber im Reich selbst herrschten Schwert und Geheimdienst. Wer dem anglikanischen Gottesdienst fernblieb, hatte existenzvernichtende Strafen zu erwarten. Wer gegen die Staatsreligion verstieß, konnte hingerichtet werden; das Agenten-Netz war wo dicht, dass seine Informationen teilweise gar nicht verarbeitet werden konnten. Die Inquisition hatte Pate gestanden. Einen Wermutstropfen muss man bei dem Buch in Kauf nehmen: den Preis [51 Euro]. Die, die das Werk am meisten interessieren müsste, Studenten und Junglehrer, werden es sich kaum leisten. Steht zu hoffen, dass irgendwann eine preisgünstige Paperback-Ausgabe erscheinen wird. Die an der Universität Mainz lehrende Shakespeare-Spezialistin, deren großes Werk über Die Shakespeare-Illustration (1594 - 2000) nachstehend besprochen wird [s. auch die Homepage der Autorin: ‘Bücher’ - ‘Die Shakespeare-Illustration (1594-2000)’ - ‘Rezensionen’], hat sich in ihren bisherigen Publikationen über Shakespeare vor allem um die Lösung von Problemen bemüht, die nach ihrer Meinung damit zusammenhängen, daß “Unklarheiten und Ungereimtheiten, deren Ursachen bis heute [deswegen] nicht erforscht werden konnten, weil übersehen wurde, daß konkrete historische Gründe für das scheinbar Unerklärliche vorhanden sind” (S. VII). Es geht dabei um die sog. “lost years” in Shakespeares Leben, also die Zeit von 1585 - 1592, die sie mit seinem “Engagement im englischen Krypto- und Exilkatholizismus” (S. 75) erklärt. * In ihrem hier kurz angezeigten, reich illustrierten Handbuch möchte sie zugleich eine Lücke in der “deutschen bzw. deutschsprachigen Shakespeare-Forschung” schließen, die, “von frühen Versuchen im 19. Jahrhundert abgesehen, seine Biographie vernachläßt” hat und eine “umfassende deutsche bzw. deutschsprachige Shakespeare-Biographie auf wissenschaftlicher Grundlage” vorlegen (S. VII - VIII). ... “Zahlreiche, bisher unbeachtete Bildzeugnisse der Shakespearezeit werden ... als neue, besonders wichtige und ergiebige historische Quellen erschlossen. ... Unter Hinzuziehung von Fachleuten wurden Monumente, Inschriften, Diarien etc. untersucht. Die dabei erzielten Ergebnisse lieferten einen wesentlichen Beitrag zur Klärung offener Fragen der Shakespeare-Biographie” (S. IX). A new study on Shakespeare has appeared, which is destined to generate turmoil in the ranks of the academic Shakespeare scholars. Frau Prof. Hammerschmidt-Hummel’s new book, ”Shakespeare: Seine Zeit - Sein Leben - Sein Werk,” is the latest in a series of original discoveries the Mainz University professor has made. 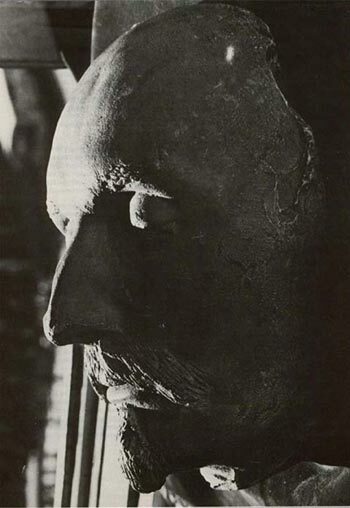 She was the one to prove the authenticity of several Shakespeare portraits (the ”Flower” and ”Chandos” portraits), and to identify the Darmstadt Shakespeare death mask as Shakespeare’s. 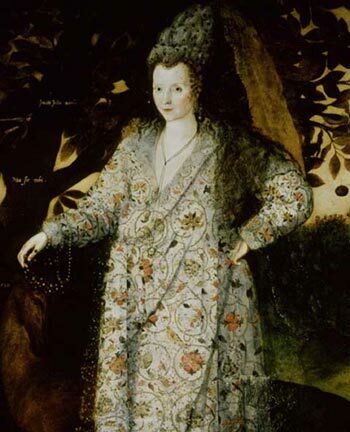 She then provided a convincing solution to the mystery of the ”Dark Lady” in the sonnets, showing that it was Elizabeth Vernon Wriothesley, Countess of Southampton. In 2001, she published ”Die verborgene Existenz des William Shakespeare. Dichter und Rebell im katholischen Untergrund,” which documented Shakespeare’s Catholic faith. Now, in her latest work, she has elaborated a full biography and examined the works, from the standpoint of this religious factor. To introduce her presentation of Shakespeare’s Catholicism, Prof. Hammerschmidt-Hummel starts by setting the historical record straight, by characterizing the legal statutes which were established under Queen Elizabeth, against Catholics, following her accession to the throne in 1558. During the short reign of Queen Mary I, Catholicism had been reintroduced, and massive persecutions of Protestants carried out. Elizabeth reversed this again. 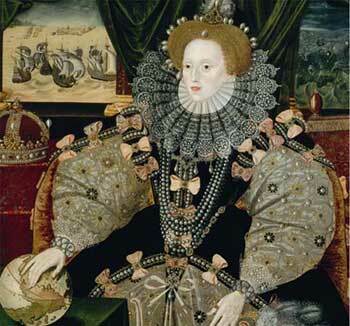 After reintroducing the Supremacy Act of Henry VIII in 1559, Elizabeth had leading Catholic bishops arrested. Scottish Queen Mary Stuart’s flight to England in 1568 provoked a Catholic rebellion the following year in northern England, which was brutally suppressed. After Pope Pius V had excommunicated Elizabeth in 1570, many Catholics went into exile, especially to Flanders and France. Educational institutions were established, like the Collegium Anglicum in Douai, Flanders, in 1568, which was later transferred to Rheims (1578-1593). These schools were designed to offer a thorough lower and higher academic education and to prepare Catholic priests for the missionary work. Starting in 1580, a movement was launched by Rome, for the re-Catholicizing of England, obviously on a covert basis. The missionary movement, was led by Edmund Campion and Robert Parsons, both Jesuits. Priests entered England secretly, and worked under protection of the Catholic gentry, who provided them housing as well as hiding places (known as ”priest holes”). The priests used the ”spiritual testament” of Milanese Cardinal Carlo Borromeo, which Catholics would sign, declaring their faith. In response to this missionary effort, Elizabeth’s government and parliament issued a series of new rigid laws, in 1581. The gist of the new legislation was that any missionaries and those converted, were to be considered traitors. There were fines for celebrating mass, fines and jail terms for those who attended mass, fines for those who did not attend Protestant services (called ”recusants”), fines for employing a Catholic teacher, etc. The most draconic punishment was meted out to those who incited to treachery, gave refuge to traitors, or kept secret information about the same for more than 20 days. Such persons had their belongings confiscated and were jailed. By 1585, a new law was introduced, which banned all Jesuits and priests from England, and foresaw the death penalty for a second offence. People belonging to these circles were also considered traitors, and could be executed, their belongings confiscated. Anyone who supported Catholic institutions (schools), or sent his children abroad to such schools, was fined. In England, Catholics who refused to accept the new Protestant faith, the ”recusants,” set their hopes on Robert Devereux, Earl of Essex (1566-1601), known for his religious tolerance and his determined opposition at court to the all-powerful Cecils: William, Lord Burghley,. who ruled as advisor to Elizabeth from 1558 to 1598, and his son, Robert, later Earl of Salisbury, who, as successor to secret service chief Walsingham, carried on his father’s policy. The Cecil faction led the persecution drive. Essex’s attempted coup d’etat on February 7, 1601, and subsequent execution, was a blow to Catholics. 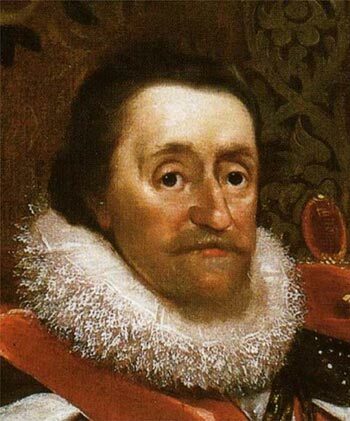 Only when King James VI of Scotland assumed the throne (as James I) after Elizabeth’s death in 1603, did they revive hopes in a more tolerant regime, as James I, who had been an ally of Essex, had promised to relax the strict religious laws. Many exiled Catholics returned to England full of hope, but the king betrayed their aspirations, and on February 10, 1605, issued an ultimatum, allowing Catholics one year to accept the new religion. It was in this context that the Gunpowder Plot was organized on November 5, 1605, a plot to blow up the Parliament in Westminster. The plot was discovered in time, and the conspirators, tried for high treason. Against this background, Prof. Hammerschmidt-Hummel traces the biography of Shakespeare. As family records document, John Shakespeare, the poet’s father, was a Catholic, whose Borromeo testament, hidden in the attic, was discovered in 1757 and published in 1790. 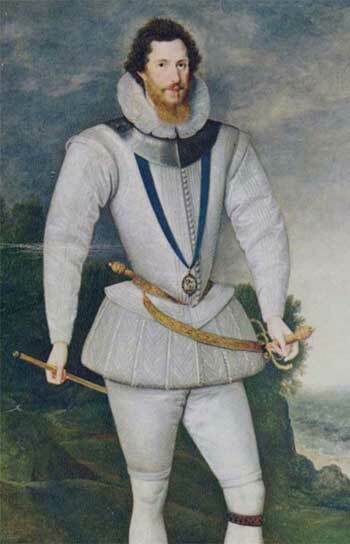 John Shakespeare, who served as mayor, alderman and justice of the peace, suddenly stopped attending meetings of the council in 1577, an odd occurrence which the author puts in connection with the first execution of a Catholic priest, Cuthbert Mayne, that year, after the introduction of the new laws. In 1578-1579, the poet’s father sold and/or rented out several pieces of land, in an effort to raise funds required to send young William to school on the Continent. Since students who went to Oxford or Cambridge had to swear an oath of allegiance to the new religion, Catholic families would send their sons to the schools in Douai or Rheims, for a Catholic education. This required cash funds, for a two-year period of study. Bolstering her hypothesis that indeed, this is what father John sold his land for, are two pieces of evidence: first, that John Shakespeare was fined in 1580, as one of 140 persons in England, probably for having sent their children abroad; and secondly, that among the names on the student register in Douai/Rheims, were entries, partly erased, corresponding to Shakespeare’s name (p. 47). In March 1592, John Shakespeare’s name was officially placed on the recusants list. The author’s reconstruction shows that William studied those two years (1578-1580) abroad, then returned to England, where he married Anne Hathaway in November 1582. 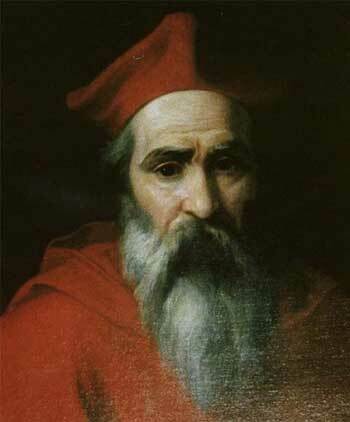 His first child was born in 1583, and twins, in 1585, whose godparents were Catholics. 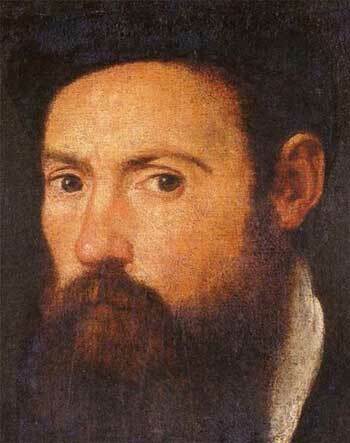 Then from 1585 to 1592, there is no trace of the poet in any English records. Prof. Hammerschmidt-Hummel solves the mystery of the ”lost years,” again by considering the religious factor. It was in 1585, the year William fled, that the fate of Mary Stuart was sealed. She was executed in 1587. 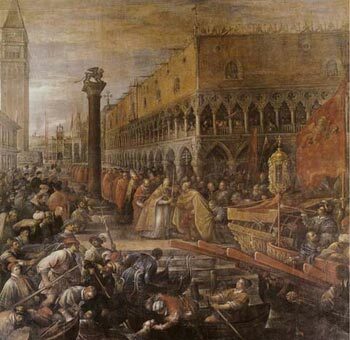 1585 was the year in which a recruitment drive was launched in England, for supporting the war of the Netherlands against Spain; in 1585 the English Catholic opposition, supported by Philip II of Spain and the Pope, began organizing in Rome for armed struggle against the Protestants. William Shakespeare had been mentioned in the will of Alexander Hoghton, a leading Catholic named as recusant, at whose home the young William had lived two years as a teacher. In the will, Hoghton (whose family head had helped establish the Collegium Angelicum in Douai) established regular, lifelong payment for several people, organized in a trust, among them William Shakeshafte alias Shakespeare. It is known that the name Shakeshafte had been used by William’s grandfather. The author, who has studied the coded language used by underground Catholics, has offered a decipherment of the entire will (and other documents), according to which it would appear that the trust was a secret Catholic organization, which was to provide ”players” with ”playclothes” and ”instruments belonging to musics,” which refer to priests, garments and liturgical instruments. In another important document, published in 1592 and newly found by the author, the ”puppets” just like the ”players” also stand for priests, and William’s job, therefore, was to serve as a liaison for the priests. In this document an Elizabethan actor, identified as William Shakespeare, states that in the last seven years he has been an ”absolute Interpreter to the puppets” (p. 69). The author’s hypothesis is, that William spent the lost years on the Continent, especially in Italy, mainly Rome, in such activities. According to the author’s new documentary evidence, the poet used to lodge in friaries. Since all English friaries or monasteries had been destroyed by Henry VIII, William must have stayed in cloisters on the Continent. The most striking evidence given, that William was on the Continent, and in contact with Catholic circles, are the three (perhaps four) entries in the pilgrims register at the hospice of the English College in Rome. There, in the years 1585, 1587, and 1589 (perhaps 1591), the author found entries of names that correspond to Shakespeare, again quasi-coded. For example: ”Gulielmus Clerkue Stratfordiensus,” Latin for ”William, Clerk of Stratford”. All names were in coded form, given the massive espionage networks that Elizabeth had deployed to the Continent, in search of English missionaries. The entries correspond exactly to the time period of the ”lost years,” and provide a convincing argument for the author’s hypothesis. It is well-documented that Shakespeare was in London in 1592, and started a meteoric career as a playwright,-- with ”Henry VI,” an instant success -- which he continued, with brief interruptions, until 1613. At that time, he purchased a building of the old cloister of Blackfriars in London, together with three trustees. The building (Gatehouse II - opposite the Wardrobe - cf. p. 248) had been used for decades as a hiding place for Catholic priests and monks. The author suggests that the trustees engaged in support activities for Catholics. Seven years after Shakespeare’s death, the ceiling of the third floor of another building in Blackfriars (Gatehouse I - near Ludgate) collapsed, and about 100 people died. It was thus revealed that the 300 people convened in the room, were there to practice a secret Catholic mass. In 1613, Shakespeare seems to have travelled to Rome once more. Among the October entries of the pilgrims register at the English College in Rome the author found the name ”Ricardus Stratfordus.” It appears as if the poet had used the name of his hometown again and, in addition, the Christian name of his brother Richard who had died in February 1613. When looking at Shakespeare’s works from the standpoint of his Catholic faith, the author is able to provide answers to hitherto open questions, regarding the kinds of plays Shakespeare wrote, their dating, and their publication. Prof. Hammerschmidt-Hummel reports that the reason why Shakespeare stopped writing history plays dealing with English history, was that a ban was issued by John Whitgift, Archbishop of Canterbury, in 1599, affecting satires, epigrams and plays on English history. 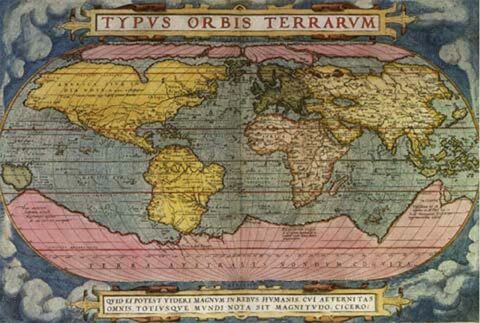 At that point, Shakespeare started the Roman plays, and later dealt with history in the great tragedies, but always located in countries other than England (Denmark, Scotland, etc.). The reason why the playwright gave up writing comedies, according to the author, lies in the trauma provoked by the execution of Essex. Shakespeare knew Essex and Essex’s close friend Henry Wriothesley, third Earl of Southampton, who was the poet’s patron, friend and later on) rival. After the rebellion Southampton was also condemned to death, then jailed and later released by James I. Shakespeare’s poem, ”The Phoenix and the Turtle,” published in 50 copies after Essex’s and Southampton’s death sentences, is shown by the author to be dedicated to the two men. In addition, she provides further evidence to support the claim, first made by the English Shakespeare scholar John Dover Wilson, that Essex supplied the model for Hamlet, hero of the play by the same name, completed in 1602. She also sees William Cecil as the historical figure behind the character Polonius. It was Cecil who had been responsible for the anti-Catholic Elizabethan legislation and had arranged the execution of Jesuit priest and missionary Edmund Campion in 1581. That Shakespeare was a member of the Essex circle is also indicated by the fact, noted by the author, that he did not compose one line of eulogy or commemoration on the occasion of the death of Queen Elizabeth -- quite unusual considering his stature as the leading playwright of his time. It was, of course, Elizabeth who had ordered Essex executed; she reportedly kept the man’s decapitated head in her chamber, and showed it to French Marshall Biron, on his visit to her in London in September 1601. The author moots that Shakespeare went into a sort of ”internal emigration” in the period between the death of Essex, 1601, and the death of the queen in 1603. With the ascent of James I to the throne, the poet, like other Catholics, hoped for improved conditions; when such hopes were dashed, Shakespeare turned to the great tragedies, including ”Othello” (1604), ”King Lear” (1606) and ”Macbeth” (1606). 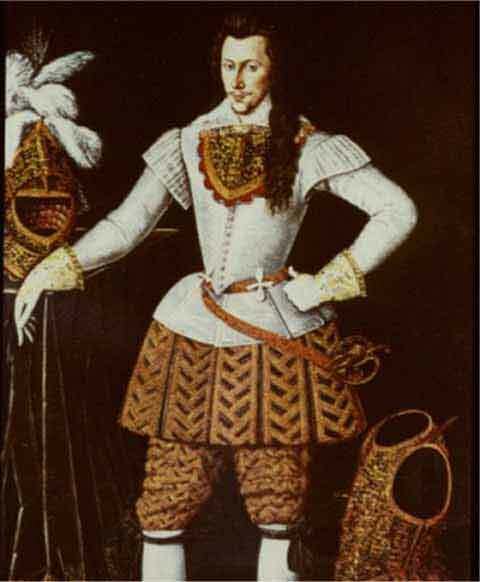 The hero of the latter play, according to the author, may have been modelled on James I, not only because of the Scottish context, and the role of witchcraft (which James I was an expert on), but also because the protagonist turns from a great hero into a monster. The view that Rome had of the king was that he was a traitor. Reviewing the plays for explicit references to Catholic rites and concepts, the author turns up a treasure trove of findings. Fully recognizing Shakespeare’s universal genius, the author in no way tries to ”reduce” his works to a Catholic factional view; rather, she points out references, showing the poet’s intimate knowledge of this culture, in many of the plays. The most obvious are in ”Romeo and Juliet” and ”Measure for Measure.” In the former, there are many metaphorical references, for example, to pilgrimages, and numerous references to Jesus Christ, Mary, and the saints; the two lovers place their faith in the monk, and are secretly wed according to Catholic rites. ”Measure for Measure” features the heroine Isabella, a novice who is willing to become a martyr, and the hero, Vincentio the Duke, who disguises himself as a monk. But there are also references in other plays. The ghost of Hamlet’s father, for example, complains of having been killed without having had confession, and describes his torment in Purgatory, a doctrine which had been eliminated by Henry VIII. The notion of mercy argued by Portia in the ”Merchant of Venice,” is another example. In the late plays, written after 1606, ”Pericles,” ”Cymbeline,” ”Winter’s Tale” and ”The Tempest,” the author sees a tone of reconciliation, and the predominance of supernatural powers, which intervene to solve tragic situations happily. Prof. Hammerschmidt-Hummel’s study, it has been said, reads like a mystery story. What indeed makes it gripping, is the fact that the author proceeds from one fundamental hypothesis -- that Shakespeare maintained the old faith -- and moves from one nested hypothesis to the next, to explain biographical events as well as features of the works, which had been hitherto incomprehensible. The hard evidence she presents in the form of historical documentation supports each of the hypotheses most convincingly. ... And, most important, she notes that in the educational institutions of the Jesuits, not only did theatre play a central role, but the kind of theatre was strictly anti-Aristotelian, with the rejection of the unities of time, place and action -- typical of Shakespeare’s theatre. Prof. Hammerschmidt-Hummel’s wonderful book is richly illustrated, with almost 250 pictures, including portraits of all the leading personalities, maps, paintings of buildings, and other monuments, all which contribute to reinforcing the author’s theses. There is also a very useful time line, and a Shakespeare family tree. It is to be hoped that this book may be available in English, soon. Wenn Homer und Shakespeare - wie etwa an der Universitätsbibliothek in Tübingen - sich als Gestalten des ‘Weltgeistes’ nebeneinander gestellt finden, so gilt dies nicht für ihre Biographien, denn über Homers Leben wissen wir sehr wenig und über Shakespeares sehr viel. Dennoch hat auch die Biographie des großen Briten empfindliche Lücken, in denen sich Legenden und Anekdoten ansiedeln konnten, die zu mehr oder weniger phantasievollen Vermutungen über den ‘wirklichen’ Shakespeare Anlaß gaben. Allerdings stand von jeher fest, daß William Shakespeare aus Stratford-upon-Avon die Werke geschrieben hat, die seine Freunde und Kollegen mit der Folio-Ausgabe des Jahres 1623 unter seinem Namen der Welt überliefert haben. Bisher konnte man annehmen, daß grundsätzliche Neuentdeckungen über Shakespeares Leben kaum zu erwarten seien. Doch die vorliegende Biographie der Mainzer Shakespeare-Forscherin Hildegard Hammerschmidt-Hummel vernetzt das ältere Material mit den wichtigen neuen Funden unter dem Gesichtswinkel des katholischen Widerstands in England so überzeugend, daß es zu einer konsequenten Neuinterpretation von Shakespeares Leben unter den reformatorischen Gewissenszwängen der Neuzeit führt. Die Autorin eröffnet unerwartete, aber plausible Sichtweisen auf das Gesamtwerk, die - bisher vernachlässigt - erstaunliche Zusammenhänge und politische Zeitumstände offenlegen. Dabei bediente sie sich neuester technischer Möglichkeiten und Methoden der historischen und kulturgeschichtlichen Forschung. Sie versicherte sich der Mitarbeit von bedeutenden Persönlichkeiten der Öffentlichkeit, ausgewählten Instituten, Wissenschaftlern und Spezialisten aus angrenzenden Fachgebieten. Die Namen reichen von Königin Elisabeth II., bedeutenden Privatsammlungen aristokratischer Landsitze, von Archivaren, Renaissanceforschern, Kunst- und Kostümhistorikern, Kriminalisten, Archäologen, Heraldikern, Kuratoren, Physikern, Photometrikern, Architekten und Kartographen, Gynäkologen und anderen Medizinern, Biologen, Botanikern und Juristen bis hinunter zur Zunft der Literaturwissenschaftler und Philologen. Der Versuch der Verfasserin, das Werk Shakespeares erneut mit seiner Zeit und einer neuen und umfassenden Biographie zu verbinden, mag manchem Betrachter anfangs etwas zu bunt und polypragmatisch erscheinen, aber aus der Fülle von neu gedeuteten und miteinander vernetzten Einzelbeobachtungen entsteht ein sehr sorgsam rekonstruiertes Bild und eine faszinierende Deutung des Shakespeareschen Lebens und literarischen Schaffens vor dem Hintergrund der für elisabethanische Katholiken rigiden religionspolitischen Realität. Zunächst werden Gründe für die Lücken und Mißverständnisse der früheren Biographen angeführt. Shakespeares Leben in London ist relativ gut dokumentiert, aber viele Fundstücke und Einzelheiten wurden zum Teil durch politische und religiöse Voreingenommenheit in und schon vor der Republik Cromwells durch Zeloten beseitigt oder zerstört. Andere gingen durch Achtlosigkeit verloren. Warum geschah dies ausgerechnet im Fall Shakespeares? Könnte des Dichters Widerstand gegen die Religionspolitik der Krone ausschlaggebend gewesen sein? In der Provinz und der Nachbarschaft alter und einflußreicher katholischer Landsitze prägte sich bereits, wie die Autorin verdeutlicht, im Jugendalter die Persönlichkeit des Dichters aus, die zuvor nur Vermutungen zugänglich war. Das Lebensschicksal der Eltern als verfolgte Anhänger des verbotenen ‘alten Glaubens’ war vorentscheidend für das religiöse und philosophische Weltbild des Dichters. Es blieb bis jetzt weitgehend unerschlossen. Der angesehene Beruf des Vaters als Handschuhmacher - die Verfasserin hat sich hier wie überall genau und mit erstaunlichen Entdeckungen bis in elisabethanische Wirtshäuser hinein umgesehen (vgl. S. 11-14) - stand außerhalb jeden Zweifels. John Shakespeare hatte mit Mary Arden die Tochter eines angesehenen katholischen Landedelmanns und Grundbesitzers geheiratet, übte mehrere öffentliche Ämter aus und war sogar Stadtkämmerer, Ratsherr, Bürgermeister und Friedensrichter. Dann der abrupte Karrierebruch, für den nach den Untersuchungen der Autorin nur John Shakespeares heimliche katholische Religionszugehörigkeit in Frage kommen konnte. Die ständig verschärften Kirchenstrafen nach 1570 sind dokumentiert, wurden jedoch nicht zureichend mit der regionalen wie nationalen Geschichte verknüpft. Der Vater des Dichters bezahlte - dafür liefert die Verfasserin überzeugende Anhaltspunkte - lieber ruinöse Bußgelder, als sein Gewissen dem Despotismus einer religiösen und politischen Herrschaft zu unterwerfen. John und William Shakespeare wie auch den herrschenden englischen Landadel - sie alle litten unter der protestantischen Dogmatik und der Verdammung der katholischen Gnadenmittel (Verehrung von Sakramenten, Reliquien, Bilder und Rituale) durch die neue Religion - könnte man geradezu als entschiedene Gegner einer Staatskirche bezeichnen, die durch gesetzlich vorgeschriebene und strengstens überwachte Kirchenbesuche sowie die Anwendung drakonischer Strafen bei Gesetzesverstößen die politische Loyalität geradezu erzwingen wollte. Nach dem Bannfluch von Pius V., der die Untertanen Elisabeths I. von ihrem Treueeid entband (1570), war das Leben der Königin schutzlos preisgegeben. Regierung und Parlament verschärften das Verbot katholischer Gottesdienste und die Verpflichtung zur Teilnahme an den Abendmahlsfeiern der Staatskirche. Es ging darum, den Widerstand und die Macht der alten katholischen Adelsfamilien in den nördlichen Provinzen zu brechen. Die Aufnahme katholischer Priester und - nach Beginn der Gegenreformation - jesuitischer Missionare, das Lesen der Messe, Besitz und Verbreitung katholischer Schriften und Bilder wurden als Hochverrat mit Folter und Todessstrafe geahndet. Ein gut ausgebautes Spitzelsystem der Regierung arbeitete in England und auf dem Kontinent mit hohen Belohnungen aus dem konfiszierten Besitz. Zu Beginn ihrer Regierung war Elisabeth durchaus willens, die Gewissensfreiheit ihrer Untertanen aus den höheren sozialen Schichten zu achten. Sie selbst hatte klug die Bezeichnung ‘Head of the Church’ gemieden und die Pflichten der peinlichen Gerichtsbarkeit den Bischöfen und den Gerichten übertragen, mahnte diese aber zur Strenge und Gesetzestreue. John Shakespeare hatte mehrfach - offenbar im Einvernehmen mit dem Rat der Stadt Stratford - heimliche Katholiken als Lehrer der Stratforder Grammar School eingestellt und bezahlt, die später prominente Exilkatholiken und Jesuiten wurden und im Ausland Seminare für die Söhne des katholischen englischen Landadels und Bürgertums gründeten. William Shakespeare und seine Mitschüler waren von solchen Lehrern unterwiesen worden, die entscheidend zu der erstaunlich erfolgreichen Rekatholisierung Englands beitrugen. Die Haus- und Grundbesitzverpfändungen des Vaters, die Höhe seiner Geldstrafen und ein erst im 19. Jahrhundert gelöschter Eintrag im Diarium von Douai legen die Annahme nahe, daß John Shakespeare seinen Sohn am Collegium Anglicum mit jesuitischem Ausbildungskonzept studieren ließ. Denn besonders bedrängend für englische Katholiken war der Ausschluß ihrer Söhne von den Universitäten durch den obligatorischen Suprematseid, der mit ihrem Gewissen unvereinbar war. Wenn William Shakespeare Stratford 1585 fluchtartig verließ, so erklärt sich dies nun weniger aus der Wilddieb-Legende als vielmehr und schlüssiger als Flucht vor dem Katholikenjäger und Friedensrichter Sir Thomas Lucy, den der Dramatiker später gekonnt veralberte. Zuvor aber hatte er sich als Privatlehrer bei dem angesehenen katholischen Adelsgeschlecht der Hoghtons in Lancashire unter dem Namen Shakeshaft (E.A.J. Honigmann) betätigt und, wie die Autorin nachweisen konnte, zur aktiven Teilnahme am Widerstand im Dienst der Rekatholisierung verpflichtet. Shakespeare hat an seinen Einstellungen bis zum Ende seines Lebens festgehalten. Beide Torhäuser des ehemaligen Londoner Klosters in Blackfriars standen im Dienst des englischen Kryptokatholizismus. Dort wurde regelmäßig die Messe gelesen und Seelsorge betrieben, und dort erhielten verfolgte katholische Priester und Gläubige Unterschlupf und Fluchthilfe. Shakespeare erwarb 1613 das östliche Torhaus von Blackfriars, durch das unter anderem der Jesuit John Gerard nach der Pulververschwörung (1605) seinen Verfolgern entkommen konnte. Bisher hatte man vergeblich nach dem kommerziellen Nutzen dieser Shakespeareschen Akzession gefragt. Lancashire und Warwickshire waren katholische Inseln in einer protestantischen Landschaft. Die sieben ‘verlorenen Jahre’ (1585-92), über die vor den Forschungen der Verfasserin nichts bekannt war, dürfte Shakespeare mit großer Wahrscheinlichkeit teilweise am Collegium Anglicum zugebracht haben, das damals in Reims angesiedelt war, und auf Rombesuchen, deren Datierung die Autorin aufgrund der von Shakespeare im Pilgerhospiz des Englischen Kollegs in Rom verwendeten Pseudonyme ermittelte. Dies würde Shakespeares überlegene theologische und weltliche Bildung, seine Belesenheit in der Patristik und in Rechtsgebräuchen, aber auch seine guten Französischkenntnisse und die lebensnahen Szenarien seiner Dramen in den oberitalienischen Städten erklären. Die brisanten Schlussfolgerungen, die die Verfasserin bereits in ihrem Buch über Shakespeares verborgene Existenz (2001) aufgrund Aufsehen erregender neuer bzw. neu erschlossener Quellen ziehen konnte (Aktivitäten des Dichters im katholischen Untergrund, seine Rom-Reisen u.a. ), werden nun durch zwei weitere von ihr entdeckte und voneinander unabhängige Schriftzeugnisse aus Shakespeares Lebenszeit auf verblüffende Weise bestätigt. Jetzt kennen wir auch die Art seiner Tätigkeit in den ‘lost years’ (vgl. S. 68-71) und wissen, wo er auf dem Kontinent zu logieren pflegte (vgl. S. 165). Für das neue nun vorliegende Shakespearebild wurden die bahnbrechenden Methoden moderner Historiographie überlegen eingesetzt. Am Anfang stand die Identifizierung der Darmstädter Shakespeare-Totenmaske, die sich nach einer kriminologischen Identitätsprüfung mit den neuesten Techniken des Bundeskriminalamts gegen viele Erwartungen als echt und als Vorbild für Shakespeares Grabbüste in der Dreifaltigkeitskirche in Stratford-upon-Avon erwies. Es war eine Entdeckung erster Ordnung. Sie ermöglichte aufgrund der Zusammenarbeit mit medizinischen und kunstgeschichtlichen Spezialisten weitere Aufschlüsse über Shakespeares Krankheitsbilder und gesicherte Erkenntnisse über die bisher umstrittenen Abhängigkeiten der Shakespeare-Bildnisse untereinander und deren Erkenntniswert. Des weiteren ist es der Verfasserin gelungen, Shakespeares Freundschaft zu Henry Wriothesley, dem dritten Grafen von Southampton, nachzuweisen und seine enge Verbindung mit den Hofkreisen Elisabeths I. Sie enträtselte das Geheimnis der ‘Dark Lady’ der Sonette, der Lady Elizabeth Vernon, einer Hofdame der Königin, und deren Beziehungen zu Shakespeare und zu seinem hochgestellten Freund, der ihn in der Gunst der Geliebten ablöste. Der Graf von Southampton war der langjährige Freund und Gönner Shakespeares und seiner Truppe. Diese Identifizierung erwies auch die bis dahin umstrittenen Selbstzeugnisse der Sonette als echt. Die Sonette ermöglichen somit einen Blick in das Seelenleben Shakespeares zur Entstehungszeit dieser Dichtung und belegen die offene und mutige literarische Darstellung einer Dreiecksbeziehung, die man bis dahin weder dem Dichter noch seinem gräflichen Freund mit solcher Aufrichtigkeit zugetraut und auch im Rahmen der geltenden Tugendkonzeption bzw. der Toleranz der elisabethanischen Aristokratie kaum für möglich gehalten hätte. Partielle Erkenntnisse hatte bereits der verstorbene Oxforder Historiker A. L. Rowse vorlegt, der hinter dem hochgestellten ‘Freund’ Southampton vermutete. Lady Vernon mußte im Sommer 1598 - hochschwanger - den Hof verlassen. Sie heiratete den Grafen von Southampton und hinterließ, eine glänzende Beweisführung der Verfasserin, das stolze Bild der schwangeren ‘Persian Lady’, dann eine Tochter mit den Zügen Shakespeares und ein bisher unveröffentlichtes Shakespeare-Sonett. Dieses persönliche, den Dichter bewegende Erlebnis ist, wie die Autorin aufzeigt, mit einem Ereignis der elisabethanischen Zeitgeschichte eng verknüpft, das für Shakespeare und die englischen Katholiken tragisch verlief. Southampton galt als eine strahlende Erscheinung. Er war - wie Essex - die Zierde des Hofes nach dem ‘Gentleman’-Ideal des Cortegiano: ‘The courtier’s, soldier’s, scholar’s eye’ (Hamlet, III, 1). Er scheiterte mit dem Grafen von Essex, auf dem die Erwartungen auch der ‘commons’ und der Katholiken für die Zukunft Englands ruhten, an den Hofintrigen politisch wie menschlich. Essex - Shakespeare war sein begeisterter Anhänger - wird zum Vorbild für Hamlet. Southampton stand ihm beim Aufstand des Jahres 1601 als engster Freund zur Seite. Essex’ Verurteilung und seine Hinrichtung als Hochverräter sowie Southamptons in Kerkerhaft umgewandelte Todesstrafe werfen nun ein neues Licht auf Shakespeares tragische Phase. Man hat mit Recht seit langem von der allgemeinen Verdüsterung in den Werken unmittelbar nach der Wende zum 17. Jahrhundert gesprochen. Aus der Sicht Shakespeares und der englischen Katholiken starb nach dem Scheitern des Essex-Aufstands der große politische Hoffnungsträger, der für Aussöhnung und religiöse Toleranz stand. Daß Dänemark in Hamlet für England stehe, daß Hamlet im Sinne von Sonett 66 als persönliches Zeugnis Shakespeares zu gelten habe und Polonius mit Lord Burghley (= William Cecil) gleichzusetzen sei, hatte man lange vermutet, aber erst in der Shakespeare-Biographie der Autorin erweisen sich die Zusammenhänge als realer Teil der historischen Wirklichkeit. verborgenen Hinweise auf den Essex-Kreis und seine politischen Gegner überzeugend ans Licht gebracht. Elisabeth wird als Krähe und Henkersvogel verschlüsselt. Zum Tod der Königin (1603) hat Shakespeare geschwiegen. Einiges Material hatte die Verfasserin schon früher veröffentlicht (vgl. Die verborgene Existenz des William Shakespeare, Freiburg: Herder, 2001). Es ist nun zu einem der zentralen Bezugspunkte ihrer Shakespeare-Biographie und der Entstehung und Deutung der Shakespeareschen Werke vor dem Hintergrund des rigiden zeitgeschichtlichen und religionspolitischen Scenarios unter Elisabeth I. und Jakob I. geworden. Wer sich mit Umsicht und Hingabe in Shakespeares Werke eingelesen hat, wird sich der Frage nach der religiösen Einstellung des Dichters stellen müssen. Denn das religiöse Empfinden der Shakespeareschen Charaktere und ihres Schöpfers ist unübersehbar. Die Loslösung aus den kollektiven Bindungen von Religion und Staat wird seit Jacob Burckhardt als entscheidendes Merkmal für die individuelle Entwicklung der Persönlichkeit angesehen. In seinen Weltgeschichtlichen Betrachtungen hat Burckhardt entscheidende Kriterien für den Verfall der Beziehungen zwischen Staat, Religion, Kunst und Kultur aufgestellt, deren Fragestellungen heute nach S. Huntingdon (und vielen anderen) in The Clash of Civilization als geschichtsmächtige Kräfte wiederentdeckt werden. Wer in historischer Perspektive nach dem eigenen Selbstverständnis in Gesellschaft und Geschichte fragt, erfährt sich in den Grenzen eines religiösen Bewußtseins, das in der jüngsten Geschichtswissenschaft mit Blick auf die europäische Geschichte des 17. und 18. Jahrhunderts unter dem Sammelbegriff ‘Konfessionalisierungstheorie’ subsumiert wurde. Shakespeare hat dieses zentrale Problem der Europäer schon zu Beginn der Neuzeit durchlitten und in der Einmaligkeit seiner Kunst beispielhaft gestaltet. In einem wohldurchdachten, klar aufgebauten Prozeß geschichtlicher Zeugnisse hat Hildegard Hammerschmidt-Hummel die Einzigartigkeit Shakespeares in seiner Verbindung mit dem Zeitalter der großen Tudors und des ersten Stuart-Königs als lebendige Erfahrung nachgestaltet. Ihre Bewertungen werden nicht unbestritten bleiben, aber sie sind eine Grundlage, von der aus wir weiterdenken können. Ihr ist ein großartiger Wurf gelungen. Sie hat einer Wissenschaft, deren Puralismus immer fragwürdiger wird, ein maßgebliches Werk übergeben, an dem sich (nicht nur) ein Fach und eine große Leserschaft neu wird orientieren können. In Kürze: Der Leser findet in dieser ersten deutschsprachigen Shakespeare-Biographie auf wissenschaftlicher Grundlage alles, was er schon immer über Shakespeare wissen wollte und von dem er glaubte, daß es nie jemand herausbekommen würde. Wir reden inzwischen wieder vom Bildungskanon: Dieses bildlich und lexikalisch sehr gut ausgestattete und mit einer umfassenden Zeittafel versehene Buch gehört unbedingt dazu. ”Prof. [Hammerschmidt-]Hummel is a very distinguished Shakespeare authority, whose work could be said to revolutionise our understanding of Shakespeare as a man, and consequently also as a writer. Whilst her conclusions are not entirely new, the methods by which she has reached them are extraordinarily interesting. Prof. Hummel is convinced that Shakespeare’s life can only be properly understood against the background of secret Catholic resistance to Elizabeth and James I, and she produces a wealth of evidence to support this view. Not only are many of her discoveries new, but they also support each other and form a fascinating nexus of evidence. On those occasions when I have met Prof. Hummel, I have been deeply impressed by the force of her arguments, and feel that, whether or not one accepts all her conclusions, her books are so important that English-speaking scholars need to engage with them and they can only do so properly if they are translated into English. Indeed I am quite amazed that this has not happened already. It is not altogether unfitting that such important work is taking place in Germany, since ‘unser Shakespeare’ is in a sense (paradox!) Germany’s national poet. But it is also imperative that its results should be more widely disseminated in the English-speaking world. Das neue Buch von Hildegard Hammerschmidt-Hummel enthält die jüngsten Entdeckungen der an der Universität Mainz lehrenden und forschenden Professorin. Sie hat schon früher die Authentizität mehrerer Shakespeare-Portraits [...] und seiner Totenmaske in Darmstadt nachgewiesen. 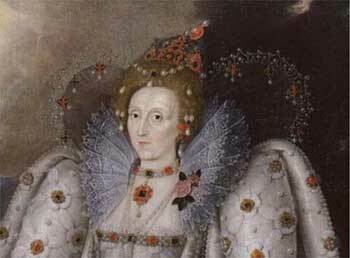 Sie löste überzeugend das Rätsel um die ‘Dark Lady’ in Shakespeares Sonetten - es handelte sich um Elizabeth Vernon Wriothesley, Gräfin Southampton. 2001 veröffentlichte sie Die verborgene Existenz des William Shakespeare: Dichter und Rebell im katholischen Untergrund, worin sie belegt, daß Shakespeare katholisch war. Im jüngsten Buch hat sie nun eine umfassende Biographie vorgelegt [...]. Die Autorin ist sich bewußt, daß die Aussagen dieses Buches ‘in nicht geringem Umfang herrschender Lehre widersprechen’. Sie hofft, damit ‘eine Diskussion auszulösen, die zu weiteren Forschungen und Erkenntnissen über Shakespeares Zeit, sein Leben und Werk führen kann’, schreibt sie im Vorwort. Unter der kurzen Regierung von Königin Maria I. waren in England der Katholizismus wieder eingeführt und die Protestanten massiv verfolgt worden. Elisabeth kehrte dies wieder um. Sie führte 1559 die Suprematsakte Heinrichs VIII. wieder ein und ließ führende katholische Bischöfe verhaften. Die Flucht der schottischen Königin Maria Stuart nach England 1568 löste im folgenden Jahr einen Katholikenaufstand in Nordengland aus, der brutal unterdrückt wurde. Nachdem Papst Pius V. 1570 Elisabeth exkommunizierte, gingen viele Katholiken ins Exil, die meisten nach Frankreich. Sie gründeten Bildungsstätten wie 1568 das Collegium Anglicu in Douai in Flandern, das später nach Reims verlegt wurde (1578-93). Sie boten eine niedere und höhere akademische Bildung und bereiteten katholische Priester auf die Missionsarbeit vor. Ab 1850 organisierte Rom eine Bewegung zur Rekatholisierung Englands, die von den Jesuiten Edmund Campion und Robert Parsons geleitet wurde und natürlich geheim war. Priester gingen nach England und arbeiteten unter dem Schutz katholischer Landadliger, die ihnen Unterkünfte und Verstecke (sog. ‘Priesterlöcher’) boten. Die Priester benutzten das ‘geistliche Testament’ des Mailänder Kardinals Carlo Borromeo, das die Katholiken unterzeichneten, um ihren Glauben zu bekunden. Als Antwort darauf erließen Elisabeths Regierung und Parlament 1581 neue, strenge Gesetze. Missionare und zum Katholizismus Bekehrte wurden praktisch wie Verräter behandelt. Man verhängte Geldbußen und Gefängnisstrafen gegen alle, die an Messen teilnahmen oder nicht am protestantischen Gottesdienst [...], katholische Lehrer einstellten usw. [...]. 1585 wurde ein neues Gesetz eingeführt, das alle Jesuiten und Priester des Landes verwies und beim zweiten Übertreten die Todesstrafe vorsah. Wer in diesen Kreisen verkehrte, galt als Verräter, der konnte hingerichtet und sein Besitz beschlagnahmt werden. Strafbar machte sich auch jeder, der katholische Einrichtungen (Schulen) unterstützte oder seine Kinder ins Ausland auf solche Schulen schickte. [...] Die englischen Katholiken, die den neuen protestantischen Glauben nicht annehmen wollten, die ‘Rekusanten’, setzten ihre Hoffnungen auf Robert Devereux , Graf von Essex (1566-1601). Er war bekannt für seine religiöse Toleranz und entschlossenen Widerstand am Hof gegen die mächtigen Cecils [...]. Die Cecil-Fraktion war die treibende Kraft hinter der Katholikenverfolgung. Essex’ fehlgeschlagener Putsch im Februar 1601 und seine anschließende Hinrichtung waren für die Katholiken ein schwerer Schlag. Erst als nach Elisabeths Tod 1603 König James VI. von Schottland als James I. den englischen Thron bestieg, hofften sie wieder auf eine tolerantere Herrschaft, weil James mit Essex verbündet gewesen war und eine Lockerung der strengen Religionsgesetze in Aussicht gestellt hatte. Viele Katholiken kehrten aus dem Exil zurück, aber der König enttäuschte ihre Erwartungen und erließ im Februar 1605 ein Ultimatum, das den Katholiken eine Frist von einem Jahr einräumte, den neuen Glauben anzunehmen. Dies war die Vorgeschichte der ‘Pulververschwörung’ im November 1605, die das Parlament in die Luft sprengen wollte. Die Verschwörer wurden jedoch entdeckt und des Hochverrats angeklagt. Für die Jahre 1585-92 findet sich in englischen Dokumenten keine Spur des Dichters. Hammerschmidt-Hummel löst das Geheimnis dieser sog. ‘verlorenen Jahre’ wiederum durch Einbeziehen des religiösen Aspekts. Als Shakespeare 1585 England fluchtartig verließ, [...] begann die katholische Opposition [...], die von Philipp II. von Spanien und dem Papst unterstützt wurde, im Rom mit Vorbereitungen auf einen bewaffneten Kampf gegen die Protestanten. Der Hypothese der Autorin zufolge verbrachte William die ‘verlorenen Jahre’ in dieser Funktion auf dem Kontinent, insbesondere in Italien und dort in Rom. Wie die Verfasserin anhand neuer Dokumente zeigt, logierte der Dichter in Klöstern (S. 165). Da Heinrich VIII. alle Klöster in England zerstört hatte, müssen dies Klöster auf dem Kontinent gewesen sein. Der schlagendste Beweis dafür, daß Shakespeare auf dem Kontinent war und Kontakt zu katholischen Kreisen pflegte, sind drei (vielleicht vier) Einträge im Hospiz des Englischen College in Rom. Dort fand die Autorin kodierte Einträge aus den Jahren 1585, 1587, 1589 (und möglicherweise 1591), die auf Shakespeare passen würden, wie ‘Guilielmus Clerke Stratfordiensis’ - latinisiert für ‘Wilhelm, Schreiber aus Stratford’. Um Elisabeths Spionagenetz auf dem Kontinent zu entgehen, waren alle Namen verschlüsselt. Die Eintragungen entsprechen genau den ’verlorenen Jahren’ und stützen überzeugend die Hypothese der Autorin. Hammerschmidt-Hummel liefert auch weitere Beweise für die Behauptung des englischen Shakespeare-Forschers Dover Wilson, Essex sei das Vorbild für den Titelhelden des 1602 vollendeten Dramas Hamlet gewesen. Hinter der Figur des Polonius vermutet sie den historischen William Cecil, der für Elisabeths antikatholische Gesetze verantwortlich war und 1581 für die Hinrichtung des Jesuitenpaters und Missionars Edmund Campion sorgte. Daß Shakespeare zum Kreis um Essex gehörte, darauf deutet auch die Tatsache hin, daß er dem Tod und Andenken Königin Elisabeths keine einzige Zeile widmete, was angesichts seiner Stellung als führender Dramatiker seiner Zeit sehr ungewöhnlich ist. Sehr wichtig ist auch, daß in den Bildungsinstitutionen der Jesuiten das Theater eine zentrale Rolle spielte und daß dieses Theater strikt ‘antiaristotelisch’ ausgerichtet war und die Einheit von Zeit, Ort und Handlung ablehnt - was typisch für Shakespeares Werke ist. Manche sagen, Hammerschmidt-Hummels geschichtliche Studie lese sich wie ein Kriminalroman. Was es so packend macht, ist, daß die Autorin von einer Kernhypothese ausgeht - daß der Dichter am alten Glauben festhielt - und dann aus einer Hypothese die nächste entwickelt, um bisher unverständliche biographische Details und Aspekte seiner Werke zu erklären. Die harten Fakten in Form der historischen Dokumente belegen ihre Hypothesen höchst überzeugend. “Zur Anglistik kam die aus Westfalen stammende Hildegard Hummel (Bild: Ilona Surrey), weil ihr Englischlehrer sie wegen ihrere Begeisterung für Shakespeare nach dem Abitur 1967 an die Universität Marburg zu Horst Oppel schickte, damals eine Koryphäe der Shakespeare-Forschung. Hammerschmidt-Hummel promovierte bei Oppel 1972 über ‘Das historische Drama in England’. 1977 habilitierte sie sich und lehrt seither - von einer Zwischenstation in Toronto abgesehen - an der Uni Mainz. ‘Er ist der Größte’, sagt Hildegard Hammerschmidt-Hummel. Sie sagt es ohne Pathos, aber mit Nachdruck. William Shakespeare, den sie für den größten Dramatiker der Weltliteratur hält, ‘kannte den Menschen in- und auswendig und wusste, warum Menschen handeln wie sie handeln.’ Schon als Schülerin faszinierten die Theaterstücke Shakespeares die Forscherin, die an der Universität Mainz englische Literatur-und Kulturwissenschaft lehrt und soeben zwei umfangreiche Werke vorgelegt hat: die Biographie William Shakespeare. Seine Zeit - sein Leben - sein Werk und die dreibändige Dokumentation bildkünstlerischer Darstellungen zu Shakespeares Dramen aus fünf Jahrhunderten Die Shakespeare-Illustration (1594-2000). Zwei Werke, in denen sie die Summe jahrzehntelanger Forschungsarbeit ausbreitet. Die Biografie eröffnet ein zeitgeschichtliches Panorama, in das die Autorin ihre These vom heimlichen Katholizismus Shakespeares einbettet. Der Dichter habe sich im katholischen Untergrund für seine von Elisabeth I. und Jakob I. mit großer Brutalität verfolgten Glaubensgenossen eingesetzt, so Hammerschmidt-Hummel. Diese These hat sie bereits vor zwei Jahren öffentlichkeitswirksam dargelegt. Der ‘schlagendste Beweis’ sei Shakespeares Kauf eines Torhauses auf dem Blackfriars-Klostergelände in London. Das Torhaus sei als Unterschlupf für verfolgte Priester und Anhänger des alten Glaubens genutzt worden. Mit einem Treuhändervertrag habe Shakespeare die Funktion des Hauses als ‘Zentrum des katholischen Untergrunds’ über seinen Tod hinaus sicherstellen wollen. In ihrer Shakespeare-Biographie bringt Hammerschmidt-Hummel neue Belege wie ein Gedicht von Thomas Edwardes aus dem Jahr 1595, das sie als Zeugnis dafür interpretiert, dass der Dichter ‘in Klöstern Unterkunft gefunden’ habe. Für die Bände über die Shakespeare-Illustration hat Hammerschmidt-Hummel 362 Museen in Westeuropa und Nordamerika angeschrieben und einen Großteil besucht, um die Bestände zu sichten. Das Mainzer Shakespeare-Bildarchiv stockte sie von 1600 auf 7000 Exemplare auf. Sie verknüpft in ihrer Forschung Literatur und bildende Kunst. Mit ihrer fächerübergreifenden Methode will sie ‘belegbare Fakten statt Interpretationen’ liefern. Wann immer sie auf Schwierigkeiten stößt, holt sie sich Hilfe bei Fachleuten anderer Disziplinen. 1995 hat sie mit Hilfe von Experten des Bundeskriminalamtes (BKA) und Medizinern herausgefunden, dass die in Darmstadt aufbewahrte Totenmaske Shakespeares echt ist und das Chandos- und das Flower-Porträt tatsächlich den Dichter zeigen. Damals entdeckte sie auf dem Flower- und dem Chandos-Porträt Schwellungen am linken Oberlid und im Augenwinkel, die ein Augenheilkundler später als Mikulicz-Syndrom und Karunkeltumor diagnostizierte. Die ‘Dark Lady’aus Shakespeares Sonetten identifizierte sie als Hofdame Elizabeth Vernon. Mit ihr habe der Dichter eine uneheliche Tochter gezeugt: Lady Penelope Spencer, eine Vorfahrin der 1997 verstorbenen Prinzessin Diana Spencer. Eine kriminalistische Ader möchte man der Forscherin nicht absprechen, die sich gern gut gemachte Krimis anschaut, am liebsten Verfilmungen englischer Romane des 19. Jahrhunderts. Wer sich auf die Thesen in ihrer Shakespeare-Biographie einlässt, findet Belege in Hülle und Fülle, eingebettet in die historischen Zusammenhänge des elisabethanischen Zeitalters. “Das literarische Werk William Shakespeares ist seit Jahrhunderten ein permanentes Faszinosum, seine immense Wirkungsgeschichte beispiellos. Im Leben des Dichters aber gibt es noch immer viele Rätsel. Laut Hammerschmidt-Hummel ist die Tatsache, dass Shakespeare ein aktiver und heimlicher Katholik gewesen sei, nicht nur als Hintergrundwissen für die Entstehung seiner Dramen von grosser Bedeutung. Es sei dies ausschlaggebend auch für das Deuten und Verstehen wichtiger Textstellen seiner Werke. ‘Die um 1601 einsetzende Wende zum Tragischen in Shakespeares Dramen, über deren Ursachen man bisher vergeblich gerätselt hatte, erklärt sich nun vor dem Hintergrund seiner Verwicklung in die atemberaubenden politischen Ereignisse jener Zeit’, erläuterte die Shakespeare-Forscherin. “Deutsche Literaturwissenschaftlerin entdeckte neue Belege - Sie sieht in der Zugehörigkeit des Dichters zur blutig verfolgten katholischen Untergrundkirche den Schlüssel zum Verständnis von Leben und Werk Shakespeares. Die Religion ist nach Einschätzung der Mainzer Literaturwissenschaftlerin Hildegard Hammerschmidt-Hummel der Schlüssel zum Verständnis von Leben und Werk des Dichters William Shakespeare (1564-1616). 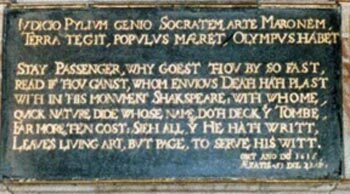 Die eingangs erwähnte These, Shakespeare habe den katholischen Untergrund in der Zeit der Unterdrückung der Katholiken durch die Anglikanische Kirche unterstützt, ist eilne kleine Sensation in der Shakespeare-Forschung. Englische Shakespeare-Forscher stellten den weltberühmten Dichter seit Jahrhunderten als protestantischen Nationalhelden dar, so Hammerschmidt-Hummel. Sie hätten dabei auf seinen katholischen Glauben hinweisende Dokumente als Fälschungen abgetan oder einfach ignoriert. Hammerschmidt-Hummel ist bekannt für aufsehenerregende Forschungsergebnisse über Shakespeares Leben und Werk. Ihr besonderes Interesse gilt dabei den Bildnissen und der Biographie Shakespeares sowie der Wirkung seines Werkes auf die Bildende Kunst. Frühere Erfolge ihrer Forscherlaufbahn sind der Echtheitsbeweis der Darmstädter Shakespeare-Totenmaske und die Aufklärung der Identität seiner ‘Dark Lady’. Um hieb- und stichfeste Beweise für ihre Thesen zu erlangen, arbeitete sie sogar schon mit dem Bundeskriminalamt zusammen. “Das ‘Merry Old England’ der Shakespearezeit ist ein Mythos - die Epoche der zwanghaften Einführung des anglikanischen Bekenntnisses im englischen Königreich war blutig und grausam wie kaum eine andere. Katholiken, die sich weigerten, die neue Religion anzunehmen, galten als Verräter; jedem, der Priester versteckte, drohte der Tod. Alle Katholiken wurden registriert und durften sich nur im Umkreis von fünf Meilen bewegen - England wurde zu einem riesigen Gefängnis für alle, die an Rom festhielten. In ihrer neuen Shakespeare-Biografie ‘William Shakespeare: Seine Zeit - Sein Leben - Sein Werk’ vertritt die Mainzer Anglistin Hildegard Hammerschmidt-Hummel die These, dass der über Jahrhunderte als anglikanischer Nationaldichter angesehene Shakespeare selbst Katholik gewesen sein muss. Die Professorin stützt diese These anhand bisher unbekannter Text- und Bilddokumente und zieht Parallelen aus Shakespeares Werken zur englischen Geschichte, die bisher niemand zu ziehen wagte. Bei der Präsentation des üppig bebilderten Werks im Roncalli-Haus verlieh Timo Berndt, Schauspieler am Staatstheater, den Worten des Dichters Stimme und Gestalt. ‘Dänemark ist ein Gefängnis’, klagt beispielsweise Hamlet im zweiten Aufzug des Dramas - hat Shakespeare damit wirklich England gemeint, wie die Professorin interpretiert? Tatsache ist, dass der Graf von Essex, ein früherer Günstling Königin Elizabeths I., nach politischen Wirren 1601 hingerichtet wurde. Er, der den Gedanken der Toleranz gegen die Katholiken vertrat, hatte den Kampf verloren - auf dem Schafott soll er ein katholisches Gebet gesprochen haben, das fast wörtlich im ‘Hamlet’ zitiert wird. [...] auch in den Sonetten soll sich der Dichter massiv gegen die Religionspolitik der Königin gerichtet haben: ‘Kunst seh ich geknebelt von der Obrigkeit’ heißt es beispielsweise in Sonett 66 - eine Anspielung auf Elizabeths Erlass, dass künftig keine englischen Geschichtsdramen mehr verfasst werden dürfen? “Alle Macht wird missbraucht. Das tat auch Elisabeth I. von England, die 1558 zur Königin gekrönt wurde. Ihr Vater Heinrich VIII. hatte, um Anna Boleyn heiraten zu können, seine erste Ehe durch den englischen Gerichtshof für ungültig erklären lassen; es zog den Bannfluch des Papstes nach sich. Daraufhin ernannte sich Heinrich zum Oberhaupt der ‘Anglikanischen Kirche’. Der Bruch mit Rom war eingeleitet, Elisabeth vollendete ihn. Sie erhob den Protestantismus [...] zur Staatsreligion. Für Englands Katholiken begannen Unterdrückung, Verfolgung. Der am 23. 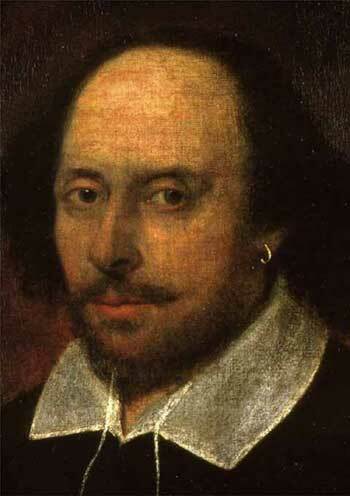 April 1564 in Stratford-upon-Avon geborene William Shakespeare war Katholik. Diese kaum beachtete Tatsache stellt die in Wiesbaden lebende Professorin Hildegard Hammerschmidt-Hummel, Literatur- und Kulturwissenschaftlerin an der Uni Mainz, in den Vordergrund ihrer neuen Veröffentlichung ‘William Shakespeare - Seine Zeit - Sein Leben - Sein Werk’. Ihre akribisch recherchierte Forschungsarbeit begeistert auch den weniger wissenschaftlich interessierten Leser. In chronologischer Kapitelfolge schlüsselt die Autorin den Lebenslauf Shakespeares auf. Nie durfte er sich als Katholik zu erkennen geben, nie durfte ruchbar werden, dass er bis zum Lebensende den Untergrund-Katholiken Hilfe und verborgene Unterkunft gewährte. Verschwiegen blieb ferner, dass er ab seinem 14. Lebensjahr Zögling des Collegium Anglicum in Douai/Flandern gewesen war, wo englischen Katholiken das Priesterstudium geboten wurde. Doch das Schicksal Shakespeares sah ein anderes Dasein vor. [...]. 1611 kehrte Shakespeare, des Hoflebens überdrüssig, nach Stratford zurück. Doch nicht nur Überdruss veranlasste die Heimkehr. Seit Jahren litt er an einer damals unbehandelbaren Hautkrankheit, die auf seinen späten Porträts erkennbar zutage tritt. Aus heutiger Expertensicht handelte es sich um ‘chronische Sarkoidose’ [...]. Der meist jahrelange, mit Fieber verbundene Verlauf, kann zum Tode führen. “ […] ein großes Buch [...]: das stattliche Format, die exquisiten Abbildungen, [...] dazu alle in gestochener Brillanz und kaum für möglich gehaltener farblicher Qualität und nicht zuletzt auch mit dem notwendigen, blickleitenden Detail in den Legenden kommentiert, das allein schon macht das bloße Blättern zu einem hohen Vergnügen besonderer Art. “Fast alles im Leben und Werk William Shakespeares (1564-1616) lässt sich entschlüsseln, wenn man seine Religion berücksichtigt. Dies sagt die an der Mainzer Uni tätige Shakespeare-Forscherin Hildegard Hammerschmidt-Hummel. Vor wenigen Tagen wurde ihre Biografie über den bedeutendsten englischen Dichter veröffentlicht, die auch für Laien verständlich und spannend ist. In der ersten umfassenden Beleuchtung dieser Lebensgeschichte in deutscher Sprache präsentiert die Autorin neue Funde und viele Mosaiksteinchen. Sie führt den Leser in eine Zeit, die für viele Menschen ein Schreckensszenario war - auch für Shakespeare. Als Elisabeth I. im Jahre 1558 den Thron besteigt und den Protestantismus zur Staatsreligion erklärt, beginnt für die englischen Katholiken schon bald ein jahrhundertelanger Leidensweg. Mit antikatholischen Strafgesetzen werden sie unterdrückt, entrechtet, verfolgt, getötet. [...] Im Jahre 1577 wird erstmals ein katholischer Priester hingerichtet. Zu diesem Zeitpunkt ist Shakespeare 13 Jahre alt. Hammerschmidt-Hummel belegt, dass sein Umfeld (Eltern, Verwandte, Lehrer und Freunde) katholisch und auch er selbst insgeheim Katholik war. In seinem Geburtsort Stratford besucht er die Lateinschule, dann auf dem Kontinent heimlich das Collegium Anglicum in Douai [...]. Das Collegium wurde mit Unterstützung Philipps II. von Spanien gegründet, um jungen englischen Katholiken, die den in Oxford und Cambridge geforderten Eid auf die Königin verweigerten, eine akademische Ausbildung und bei Berufung das Priesterstudium zu ermöglichen. Anschließend war Shakespeare Privatlehrer in einer englischen Adelsfamilie, die das Collegium finanziell unterstützte. Hammerschmidt-Hummel studierte das Testament seines Arbeitgebers und fand heraus, dass William Shakespeare dort noch eine weit wichtigere Position innegehabt haben muss: Offenbar war er dort an der jesuitischen Rekatholisierungskampagne beteiligt, die, von Rom abgesegnet, im Untergrund operierte. Als die Razzien immer häufiger und die Strafen für Katholiken immer drakonischer wurden, lässt der junge Shakespeare Frau und Kinder in Stratford zurück, um nach Rom zu flüchten. Im Pilgerbuch des dortigen englischen Kollegs trägt er sich unter dem Pseudonym ‘Stratfordus’ ein. Als er 1592 nach London kommt und für die Bühne schreibt, ist er im Nu ein Star. 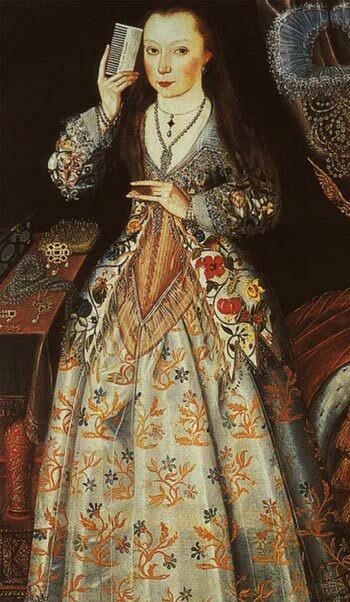 Elisabeth I. ist begeistert von seinen Komödien und Historien. Mit ihnen aber versucht der Dichter, wie die Autorin erstmals aufzeigt, auf seine Zeit Einfluss zu nehmen. Sein ‘König Johann’, eine historische Figur, die mit Rom gebrochen hat, ist für die Forscherin eine einzige Anspielung auf die Verhältnisse in England. In ‘Heinrich V.’ werde enthusiastisch auf den Grafen von Essex angespielt. Der Günstling Elisabeths und deren potentieller Nachfolger war der Hoffnungsträger der Katholiken. Eine Antwort auf die Frage, weshalb der Dramatiker plötzlich keine Komödien und nur noch Tragödien, düstere Problemstücke und zum Schluss Romanzen schreibt, geben für Hammerschmidt-Hummel die zeitgeschichtlichen Ereignisse: der heftige politische Machtkampf um 1600 und das tragische Ende von Essex. Dies erkläre auch, weshalb der Dichter nach dem Tod Elisabeths (1603) keine einzige Zeile des Gedenkens verfasst. Viele der spannenden Details ihrer Indizien- und Beweiskette verdankt die Expertin ihrer Offenheit anderen wissenschaftlichen Disziplinen gegenüber. Da wird auch schon mal das Bundeskriminalamt eingeschaltet, um sicherzustellen, dass ein Porträt wirklich den Dramatiker zeigt. “Dreh- und Angelpunkt für den KunstbuchAnzeiger ist nicht der Dichter, sondern die in 5 Jahrhunderten entstandenen ca. 3100 bildkünstlerischen Darstellungen zu den Dramen William Shakespeares (1564-1616) aus dem Mainzer Shakespeare-Bildarchiv. Die nach kunst- und literaturwissenschaftlichen Kriterien erfaßte Dokumentation behandelt die Geschichte, Funktion und Deutung des Shakespeareschen Werkes und richtet sich an Shakespeare-Forscher und Liebhaber gleichermaßen. Doch vor der Bildbetrachtung sollte der Leser sich dem literarischen Werk William Shakespeares zuwenden. Seit Jahrhunderten ein permanentes Faszinosum mit einer beispiellosen Wirkungsgeschichte gibt es immer noch viele Rätsel auf. In ihrem spannenden Buch führte Hildegard Hammerschmidt-Hummel, Professorin für engl. Literatur- und Kulturgeschichte an der Universität Mainz - das Leben und Werk des großen Briten vor Augen und zeigt, wie tief Shakespeare in die dramatischen politischen Ereignisse unter Elisabeth I. und Jakob I. verwickelt war. Rund die Hälfte seiner Stücke wurden wegen ihrer Brisanz erst sieben Jahre nach seinem Tod gedruckt. Nach ihrer Thronbesteigung hatte Elisabeth I. den Protestantismus zur Staatsreligion erklärt und sich zum Ziel gesetzt, den Katholizismus noch zu ihren Lebzeiten auszurotten. Dies führte zu brutalen Verfolgungen von Priestern und Anhängern der alten Religion und trieb viele [...] in den Untergrund. “Mit kritisch-systematischer Analytik und in fruchtbarer Zusammenarbeit mit einer Reihe prominenter Fachwissenschaftler aus natur- und geisteswissenschaftlichen Disziplinen, unter anderem mit Medizinern, Botanikern, Kriminologen, Architekten, Archäologen, Paläographen, Literatur-, Sprach- und Kulturwissenschaftlern, entwickelte Hildegard Hammerschmidt-Hummel eine völlige Neukonzeption kulturhistorischer und biographischer Forschungsmethoden. Nur so war es ihr möglich, Probleme der Shakespeare-Forschung zu lösen, die man bislang für unlösbar hielt. Ihren Ergebnissen kommt daher internationale Bedeutung zu. Die Autorin entdeckte historische Quellen und Tatbestände, die zuvor nicht beachtet wurden. Dies gilt nicht nur für ihre Untersuchungen zu Shakespeares Bildnissen (ab 1995), zu seiner Dark Lady (1999) und seiner verborgenen Existenz im englischen Katholizismus (2001), die sensationelles öffentliches Interesse erregten, sondern auch für ihre jetzt vorgelegte Shakespeare-Biographie, in der bisherige Vermutungen durch neue Text- und Bildbelege nun vielfach zu faszinierenden Tatsachen werden. Die hier unterbreiteten Erkenntnisse der Autorin sind revolutionär und überzeugend. Sie werden unser Bild von Shakespeare, von seiner Zeit, seinem Leben und seinem literarischen Werk von Grund auf verändern. Reply to E. A. J. Honigmann: “Catholic Shakespeare? A Response to Hildegard Hammerschmidt-Hummel,” Connotations, Vol. 12.1 (2003/2004), S. 52-60. The English Shakespeare scholar E. A. J. Honigmann has taken the trouble to express an opinion of my Shakespeare biography William Shakespeare. Seine Zeit - Sein Leben - Sein Werk [William Shakespeare. His time - his life - his work]. For this I am very grateful to him. I am also grateful for his clear definition of his own position with regard to a “Catholic Shakespeare” and for his comparative description of the differing standpoints of the author and reviewer. I will go into both in more detail later. The reviewer attempts to reduce Shakespeare’s Catholicism to just a few phases in the dramatist’s life — childhood, adolescence, the lost years and the final phase — and even these he questions: “What is the evidence for this ‘Catholic Shakespeare’?” The “Catholic Shakespeare”, he says, can only be established on the basis of two kinds of circumstantial evidence: (1) the known or presumed “Catholic sympathies” of the dramatist’s family, friends and patrons and (2) the “Catholic attitudes” embedded in the plays. “Like Hammerschmidt-Hummel”, Honigmann writes, “I favour a Catholic Shakespeare, though with a difference: her Shakespeare studied at the English College Rheims ..., visited the English College in Rome in 1585, 1587, 1589, 1591, under various assumed names (‘Arthurus Stratfordus Wigorniensis,’ ‘Gulielmus Clerkue Stratfordiensis’ etc. 72), which, with much else, follows from her certainty that his parents were Catholics. My Shakespeare was probably (but by no means certainly) brought up as a Catholic, probably continued as a Catholic in his ‘lost years,’ and possibly returned to his Catholic faith on his death-bed, after (probably) converting to the Church of England when or soon after he started his career in the theatre. Even though it seems incredible that a writer so curious about other nations should never visit any, I know of no hard evidence that he did - which is not to say that he could not have done so” (54). There is not only circumstantial evidence, as the reviewer thinks, but also definite proof of the strict Catholicism of the dramatist’s parents and the whole environment into which he was born. His mother, Mary Arden, came from the collateral line of a family of arch-Catholic gentry that was involved in a Catholic plot. 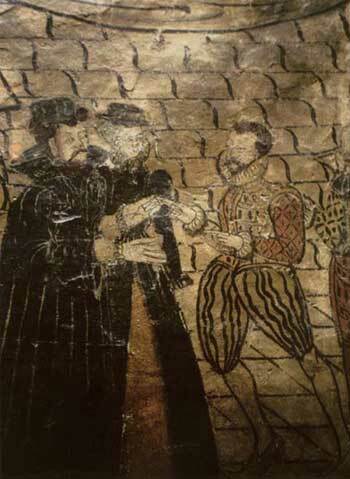 Edward Arden of Parkhall, the head of the family, was hanged as a traitor in 1583. The dramatist’s father, John Shakespeare, possessed a so-called Borromeo testament, a personal written profession of the Catholic faith, each paragraph of which contained his name. The preformulated text was the work of the cardinal of Milan, Carlo Borromeo (1538-84), who gave copies to the leaders of the Jesuit mission, Father Edmund Campion and Father Robert Parsons. Campion und Parsons distributed large numbers of these testaments to English Catholics. Raids were carried out by borough councillors (“aldermen”) with the aim of seizing these professions of faith, as they were sufficient grounds for a charge of high treason and condemnation by the courts. John Shakespeare must have concealed his copy in the rafters of his house, where it was discovered by chance around 250 years later. 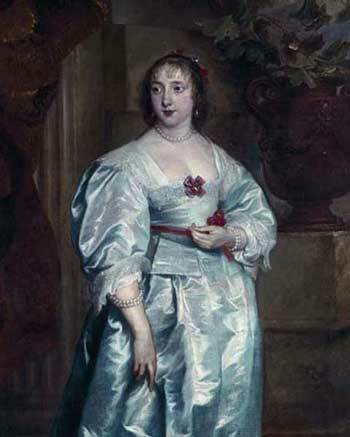 Honigmann withholds this piece of evidence, as he does the fact that both the dramatist’s father and his eldest daughter, Susanna, were on the list of recusants, who refused Anglican services, especially holy communion. In the 1560s, John Shakespeare, as treasurer of the borough of Stratford, paid salaries to illegal (evidently Catholic) teachers without entering them in the accounts. Among these teachers was one William Allen, who is presumably identical with the founder of the Collegium Anglicum at Douai (or, temporarily, at Rheims). Allen’s surname is on the plaque bearing the names of the Stratford schoolmasters — but his Christian name was left out . It should be mentioned here that John Shakespeare must have learnt reading, writing and arithmetic. Honigmann questions this — primarily on the basis of Samuel Schoenbaum’s reasoning, but Schoenbaum’s arguments are not convincing. He wrongly interpreted John Shakespeare’s trade mark, a cross, which the dramatist’s father used as a signature, as a sign that he was illiterate. But his exemplary facsimile reproductions of individual pages from John Shakespeare’s accounts  ought to have convinced him of the exact opposite. It is amazing that Schoenbaum should not have asked himself how the dramatist’s father (if illiterate) could pay out the Stratford schoolmaster’s salary and enter it in the accounts. Incidentally, it was John Shakespeare’s trade mark, discernible on the gloves of Tobias, that gave strong support to my thesis that in the mural in the White Swan at Stratford John Shakespeare, mayor, glover, and devotee of the theatre, is depicted as an amateur actor. Honigmann withholds this important detail. Honigmann considers it “very likely” (56) that the young Shakespeare was taught by the Catholic schoolmaster Simon Hunt. He also mentions that Hunt fled to Douai in 1575 and later became a Jesuit (cf. 56), but he withholds other important information — for instance that Shakespeare’s teacher had a successful career as a Jesuit priest at Rome, becoming English penitentiary (confessor) at the Holy See, in succession to Robert Parsons, mentioned above, one, if not the leading, mind among English Catholics in exile and an arch-enemy of the English crown. Hunt was thus an influential Catholic personality from the dramatist’s Stratford environment and probably made a deep impression on the young Shakespeare. 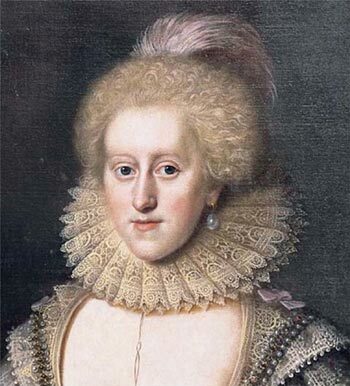 Incidentally, he did not go to Douai alone but took one of his pupils with him — Robert Debdale from Shottery, a neighbour of Anne Hathaway, who became Shakespeare’s wife in 1582. In 1585, when a further rigorous anti-Catholic penal law came into force, Debdale died a martyr’s death in England. In the same year Simon Hunt died in Rome. 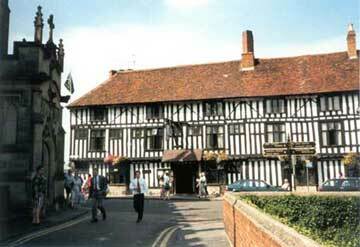 Shakespeare himself left his home town of Stratford abruptly in February 1585. In April 1585 there is an entry for one ”Arthurus Stratfordus” from the diocese of Worcester at the pilgrims’ hospice of the English college at Rome. Besides this first entry there are others using the name of Stratford that point to Shakespeare. In addition, the whole historical context suggests that he was bound up in the network of English Catholics in exile. Many details had already been fully presented in my book Die verborgene Existenz des William Shakespeare [The hidden existence of William Shakespeare] (2001), as Honigmann must have known. 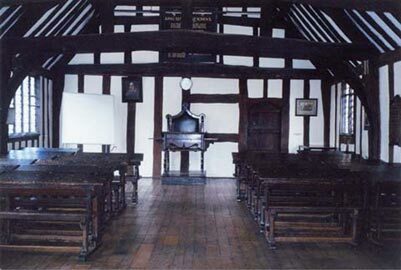 It is thus hard to understand why he should be so intent on casting doubt on Shakespeare’s schooling at Stratford and further education at the college in Rheims: the relevant Stratford school records have disappeared, he argues, and so we do not know whether William was taught there or not (cf. 56-57). To this one can only reply that things which can be taken for granted need no specific proof. For it can, of course, be taken for granted that John Shakespeare, who became mayor of the town in 1568 and a justice of the peace, would have sent his eldest son to the local grammar school, re-founded in 1553. At the beginning of the sixteenth century a surprising number of the young sons of the English bourgeoisie were already attending the new grammar schools, subsequently becoming theologians, lawyers, doctors or teachers. This was no different from what happened in the rest of Europe. Hans Luther, a miner and not exactly wealthy, sent his son Martin to a grammar school at the tender age of five (in 1488). The boy even had to be carried to school, because his legs were too weak. Later, his father sacrificed the first money he had saved to enable him to study at the University of Erfurt. In England, too, as has been mentioned, the sons of the middle class aspired to higher education. In 1516 the humanist Richard Pace exhorted England’s aristocracy not to leave the study of literature to the sons of farmers. There are a number of indications that justify the contention that the young Shakespeare received a basic academic education at the Jesuit-oriented Collegium Anglicum at Douai/Rheims. It was a typical feature of the careers of young English Catholics to avail themselves of this Catholic college, as they avoided Oxford and Cambridge on account of the compulsory Oath of Supremacy. It is astonishing that no one should hitherto have come up with the obvious idea that the Shakespeares, too, may have chosen this path for their son. The reason for this might be that in mainstream English historiography the view had predominated that the college had served exclusively to train priests, but this was not the case. The Collegium Anglicum offered an alternative, because a Catholic academic education was no longer possible in England. 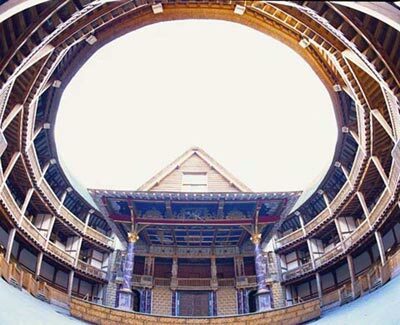 When William reached college age the Shakespeares mortgaged a considerable part of their property — presumably to finance their son’s expensive studies. The Douai diaries contain partly erased entries that also suggest Shakespeare’s presence. Furthermore, as is apparent from certain passages in his plays, Shakespeare was familiar with the nomenclature of the classes at the Collegium Anglicum and even mentions Rheims as a seat of learning. Most of this evidence Honigmann ignores. 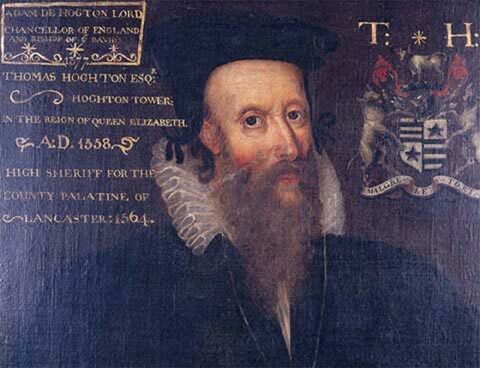 The young Shakespeare may have obtained his post as an illegal teacher (and musician) in the aristocratic Catholic household at Hoghton Tower through close contacts that existed between William Allen and Sir Thomas de Hoghton. Sir Thomas, who went into exile in Flanders, had helped Allen to found the college. “William Shakeshafte”, who is referred to in Alexander de Hoghton’s will of 1581, has been identified — as mentioned above — as the young Shakespeare. I succeeded in revealing a secret organization (with precise rankings and payment) in Alexander de Hoghton’s will. This organization was founded for a particular good purpose, which, however, is nowhere clearly described. At this point Honigmann has capitulated. 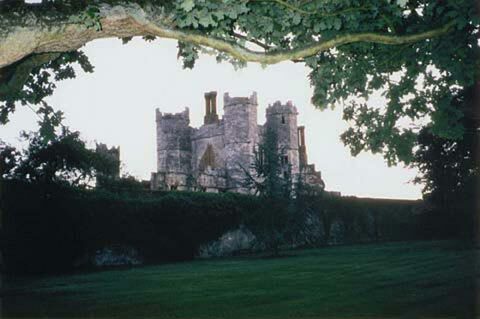 In his review he mentions neither my decoding nor my interpretation that — a year after the beginning of the Jesuit mission in England, when a further rigorous anti-Catholic penal law had come into force, the testator’s primary concern was probably to protect the mission priests known to have been at Hoghton Tower, who were hunted as traitors. It is certain that the Jesuit priest and subsequent martyr Edmund Campion, once celebrated at Oxford as “England’s Cicero”, preached at Hoghton Tower in the summer of 1580, when the young Shakespeare was probably already employed there. 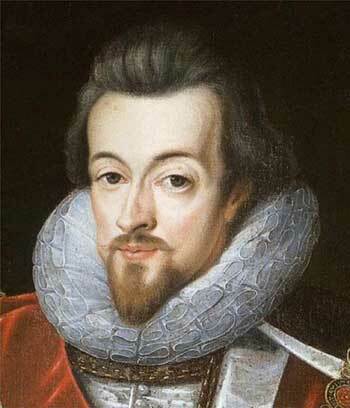 At any rate, Alexander de Hoghton mentions him more than once in 1581 and is concerned for his well-being. Those who were the main focus of de Hoghton’s concern seem indeed to have been the persecuted priests. In his will they are innocuously referred to as “players”. From this it follows that “play clothes” is not a reference to costumes but means chasubles and “instruments belonging to musics” are not musical instruments but liturgical instruments. It is inconceivable that de Hoghton would have made such a complicated set of agreements, with the origin, distribution and supervision of the money secured by the appointment of trustees, solely to provide for a company of actors. A legal expert opinion I commissioned with regard to Shakespeare’s purchase of a building in Blackfriars in 1613 - together with three trustees - confirms that the setting up of such a trust always served a particular purpose. 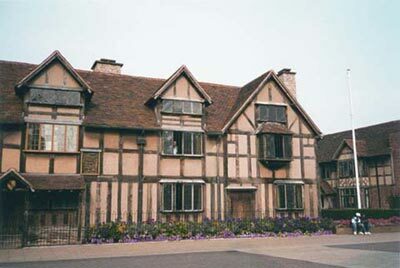 The trustees appointed by Shakespeare were enabled to continue to use the property after his death - in accordance with his wishes. However, this purpose is not mentioned in the stipulations for the trust - evidently for reasons of caution. To count the drops of Campion's sacred blood. Began to blush, and thought she did not well. Honigmann has unfortunately confused this crucial, highly informative, less familiar passage with the better-known one  in A Groatsworth of Wit where Robert Greene roundly abuses Shakespeare as an “vpstart Crow” and where the actors (“puppets”) are not spared either. He mistakenly claims that I interpreted “puppets” — here quite clearly used to mean actors — as meaning priests, and reacts with irritation: “ ‘puppets’ means ‘priests,’ a point repeated again and again, we may ask why, if this is correct, Greene ... did not call them priests” (59). The second piece of written evidence newly interpreted by me but overlooked by Honigmann is L’Envoy to Narcissus (1595) by Thomas Edwardes. There it is said of Shakespeare that he “differs much from men” and pitches his tents under monastery roofs (“Tilting under Frieries”). Monasteries had previously been a prominent feature in English landscapes and towns, especially in London, but in Shakespeare’s day there were none left in England. Under Henry VIII they had been dissolved, destroyed or rebuilt as homes for the nobility or gentry. Thus the dramatist can only have stayed at monasteries on the Continent. One of the most important pieces of evidence of the poet’s active involvement in the illegal Catholic scene of his day in England is a document confirming his purchase of the eastern gatehouse at Blackfriars in London in 1613. This gatehouse was the secret meeting place for fugitive Catholics. Legally protected by a trust deed, which was similar to that of Alexander de Hoghton, the specific use of the gatehouse was safeguarded for the time after Shakespeare’s death. 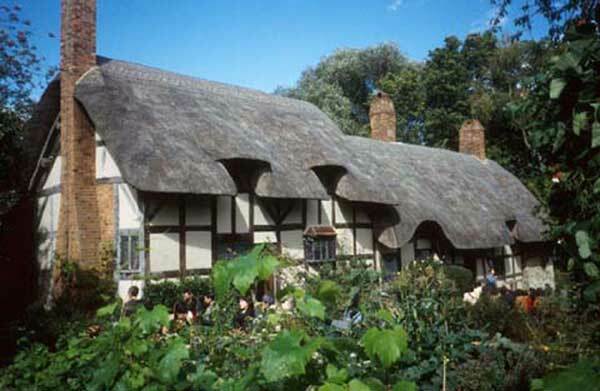 This new knowledge relating to Shakespeare’s house purchase, gained with the help of experts in other disciplines, fits in perfectly with the general context of Elizabethan politics and religion but is unfortunately ignored by Honigmann. Instead, he criticizes the fact that it does not conform with Schoenbaum’s version (“Something has gone badly wrong with her [Hammerschmidt-Hummel’s] version of the Blackfriars Gatehouse conveyance [260-61], compared with Schoenbaum’s” - 56). This is annoying in that Schoenbaum’s view that the purchase was purely an investment is not at all convincing. For the astounding degree of complexity in this rust arrangement, which contains stipulations that extend far beyond Shakespeare’s lifetime,  shows that the poet was making a considerable personal contribution to the survival of the old religion. In the case of the earl of Southampton, however, it can be stated with certainty that he came from a staunchly Catholic family, that his father had been imprisoned in the Tower for his Catholic faith, and that at both his country seat of Titchfield Abbey and his London residence priests came and went and were concealed. Important information about him from the 1590s onward, incidentally, comes from the pen of Henry Garnett, subsequently the Jesuit superior. Southampton, Shakespeare’s patron, friend and rival, was indeed one of the pillars of Catholicism — at least until, a few years after the accession of James I, he became a protestant, at the urging of the king and much to the annoyance of English Catholics. Furthermore, I reject the accusation that the historical personages are drawn in terms of black and white. I should like to point to a number of discriminating profiles of figures depicted against the background of the turbulent religious and political situation of the Shakespearean era, among them the earl of Essex, Robert Cecil, Anthony Bacon, Francis Bacon and Robert Shirley. I would also mention the bizarre life story of Anthony Tyrrell. I admit, however, that the English crypto-Catholics and Catholics in exile are often very elusive, because they formed a secret network. In the case of Shakespeare Honigmann concedes: “To be fair, let us mention that Shakespeare’s evasiveness is puzzling and calls for an explanation” (55). Such an explanation can be offered from a consideration of the dramatist’s will. Shakespeare bequeathed his sword to a young lawyer, Thomas Combe (1589-1657). No interpretation had previously been found for this symbolic act. As Combe later campaigned against the puritans at Stratford and in 1640/41 was on the list of recusants — as a Catholic —  it becomes clear why Shakespeare chose this young man to leave his sword to. When Honigmann — without giving specific reasons — expresses the view that the dramatist’s works contain only ”Catholic attitudes” and that Shakespeare had possibly become a protestant when he commenced his theatrical career in London (cf. 54), this is simply not tenable. Shakespeare’s plays are particularly rich in Catholic thought, Catholic rituals, strikingly positive depictions of priests and monks, and invocations of the Virgin Mary and numerous saints. Since the nineteenth century this has led many scholars to suppose that Shakespeare must have been Catholic. The late Cardinal Josef Frings of Cologne, for many years a patron of the Deutsche Shakespeare-Gesellschaft, devoted a chapter of his autobiography to this question, and once said in a lecture that “it could be demonstrated with a fair degree of certainty from his works that he was very sympathetic towards things Catholic, in particular monasticism.”  But one couldn’t actually prove Shakespeare’s Catholicism this way. My book Das Geheimnis um Shakespeares ‘Dark Lady’. Dokumentation einer Enthülllung [The secret around Shakespeare’s ‘Dark Lady’. Documentation of disclosing a mystery],  which a number of other scholars have studied thoroughly, fully confirming my findings,  draws very disparaging comment from Honigmann, but it is clear that he has not in fact read it. Otherwise he would have known that all the theses put forward in the book were very carefully worked out and verified on the basis of new textual and pictorial sources, that several experts in other disciplines were involved, and that the revelation of the connection between Shakespeare and the Spencers was just a minor, incidental result which I would have preferred not to mention. Regrettably, the findings in my book were passed on, without my approval, to the British press, which published them without my authorization, making the connection with the British royal family the main point of interest. Honigmann evidently fails to appreciate that in my Shakespeare biography I keep strictly to the historical facts and to new or newly interpreted textual and pictorial sources. He also, it seems, fails to appreciate that in difficult cases I always relied on the expertise and judgement of competent scholars and scientists of other disciplines. My view of Shakespeare (as opposed to Honigmann’s) — and this also applies to the role Shakespeare’s religious faith plays in his life and work — is thus supported by a large number of different contemporary sources and current expert opinions. Honigmann, who unfortunately ignores even unequivocal historical evidence (such as John Shakespeare’s Borromeo testament or William Shakespeare’s purchase of the secret contact point for hunted Catholic priests at Blackfriars) clings in many cases to a state of research that is essentially that represented by Samuel Schoenbaum and has now been superseded by new findings. In this, if I may say so, he resembles those early modern scholars who rejected new scientific discoveries because they were contrary to the teaching of Aristotle. (Mainz: Philipp von Zabern, 2003). (Manchester University Press, 1985, repr. 1998). With this book Honigmann created an international stir among scholars. However, English Shakespeare experts remained reticent. The book received hardly any mention. While Katherine Duncan-Jones has four entries for the name Honigmann in the index to Ungentle Shakespeare. Scenes from his Life (London: Thomson Learning, 2001), though in each case in connection with other works by him, the index to Shakespeare. For All Time by Stanley Wells (London/Basingstoke/Oxford, 2002) makes no mention of him at all. 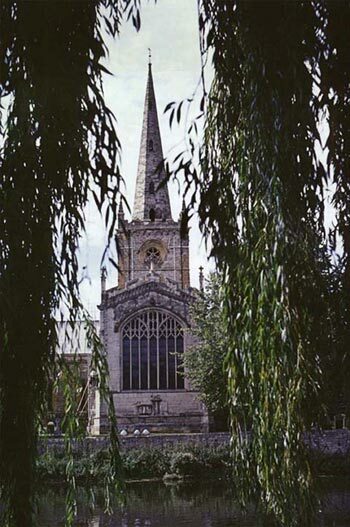 During a long telephone conversation in early April 2003 Honigmann told the author he was persona non grata in Stratford-upon-Avon. In the course of the summer of 2003, however, contact was resumed. Honigmann’s review “Catholic Shakespeare? ... “appeared in Connotations in December 2003. Cf. Shakespeare: The ‘lost years’ 28-30. Sir Bernard confirmed this to me by telephone in November 2002. Cf. 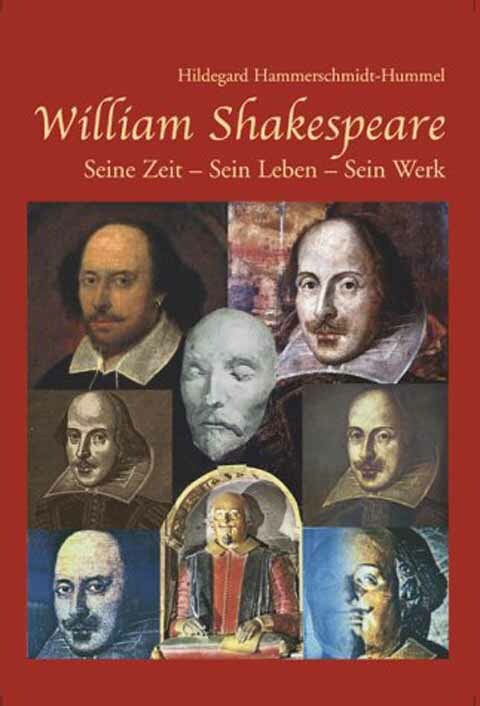 my book Die verborgene Existenz des William Shakespeare: Dichter und Rebell im katholischen Untergrund (Freiburg im Breisgau: Verlag Herder, 2001) 71ff. See my lecture “Katholische Minderheitenkultur in England von 1580 bis 1650 mit besonderer Berücksichtigung von Shakespeare” [“Catholic Minority Culture in England from 1580 to 1650 with particular Reference to Shakespeare”], given at the interdisciplinary international colloquium ”Religion und Kultur in Europa im 17. und 18. Jahrhundert” [“Religion and Culture in Europe in the Seventeenth and Eighteenth Centuries”] at Mainz (24-27 March 2003). In the subsequent discussion it became surprisingly apparent that the rigorous anti-Catholic penal laws of the Shakespearean era and their disastrous consequences for the Catholic population were virtually unknown, even to experts. As a consequence the Vienna historian Alfred Kohler concluded that the protestant-defined image of Elizabethan England would now have to be deconstructed. Cf. the conference proceedings (ed. Peter Claus Hartmann) due to be published shortly. “An Apologie of Raymond Sebond”, in: Montaigne’s Essays: Renascence Editions, Book II. E-text [www.uoregon.edu rbear/montaigne/2xii.htm], provided by Ben R. Schneider, Lawrence University, Wisconsin, ? 1998 The University of Oregon . Cf. William Shakespeare fig. 40. Cf. Samuel Schoenbaum, William Shakespeare: A Documentary Life (Oxford: Clarendon Press, Scolar Press, 1975) 31-32. William Shakespeare 12-14, fig. 14 a.
 Cf. Die verborgene Existenz 76-90. Cf. Die verborgene Existenz 96 ff. Cf. Die verborgene Existenz 145. Cf. Die verborgene Existenz 32-35. Cf. Die verborgene Existenz 163. Cf. William Shakespeare fn. 86. Cf. William Shakespeare 262 ff. Cf. Die verborgene Existenz 141. Shakespeare. A Life (Oxford University Press, 1998), pp. 66-67. Cf. William Shakespeare, Part IV: “Das machtpolitische Szenario am Ende der elisabethanischen Ära und Shakespeares Wende zum Tragischen” [“The power-politics scenario at the end of the Elizabethan era and Shakespeare’s shift towards tragedy”] 171ff. Anthony Tyrrell, an apostate Catholic priest and government spy, constitutes — before and after the Armada — probably the most flagrant example of a rapid change of sides from protestantism to Catholicism and vice versa. Cf. Die verborgene Existenz 155ff. Cf. Carsten Greiwe (ngz-online, Neuss-Grevenbroicher Zeitung) (updated 12 August 2003). Greiwe is summarizing a review by Lothar Bleeker of Die verborgene Existenz des William Shakespeare, which appeared in Carbones [Wissenschaftliche Schriftenreihe der Kardinal-Frings-Gesellschaft — a scholarly series of works published by the Kardinal-Frings-Gesellschaft]. Greiwe quotes: “Die These stellt sicherlich eine der wenigen echten Sensationen in der Geschichte der Shakespeareforschung dar” [“The thesis is certainly one of the few genuine sensations in the history of Shakespeare research”] and continues that the book was a study carried out by “an established expert in accordance with the highest principles of scholarship” [eine “höchsten wissenschaftlichen Ansprüchen genügende Untersuchung einer ausgewiesenen Expertin”]. (Darmstadt: Wissenschaftliche Buchgesellschaft und Primus Verlag, 1999). See the entries on my home page (www.hammerschmidt-hummel.de): “Bücher” / “Books”: “Das Geheimnis um Shakespeares ‘Dark Lady”’, / “The secret around Shakespeare’s ‘Dark Lady’”, “Rezensionen und Stellungnahmen / ‘Reviews and comments”. Cf. Das Geheimnis um Shakespeares ‘Dark Lady’ 115. Protestant dramatists endeavoured to present contemporary events in a light favoured by the government. Thomas Dekker, for instance, in The Whore of Babylon (1607) extolled the virtues of Elizabeth I and imputes treachery and bloody intrigues to the “Scarlet Whore of Rome”. He depicted outstanding figures of the Elizabethan era on the stage — among them, from a protestant standpoint, Edmund Campion. However, the actors (who were evidently Catholics) changed the text to suit their view. 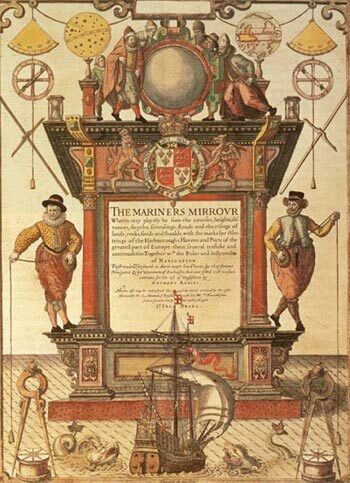 In addition, Dekker was criticized for giving a false representation of the Elizabethan age. Cf. William Shakespeare 229.